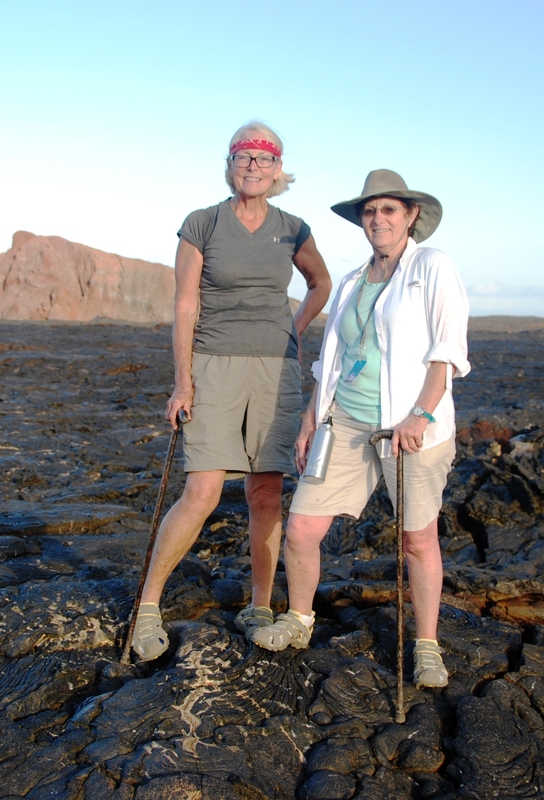 Dorothy Trevino (right) and I on our Galapagos adventure this summer. 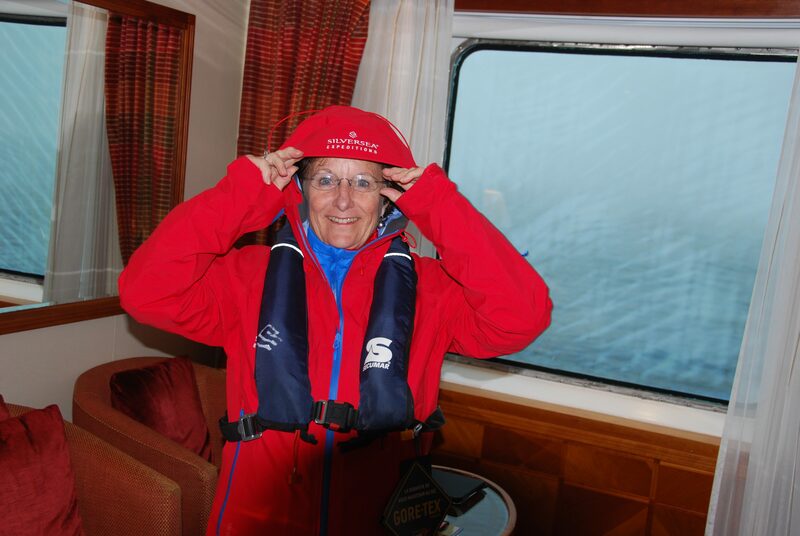 And with that statement, my dear friend, neighbor and traveling companion, Dorothy Trevino, and I looked at each other and said: “Wow…let the adventure begin!” That introduction was made during the Mandatory Welcome Briefing – held just a few hours after we boarded Silver Galapagos. Our expedition team (comprised of eight highly-trained Naturalists/Expedition guides – all from the Galapagos region and Ecuadorian natives) followed that introduction with an in depth overview of our upcoming voyage as well as the Galapagos National Park rules. 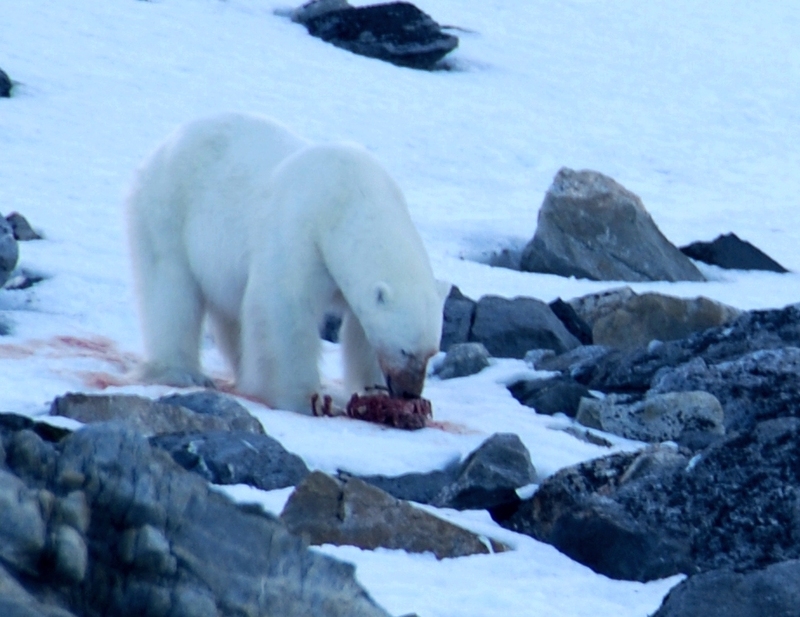 We learned that the animals have no fear of humans (e.g. sea lions, red- and blue-footed boobies, great and magnificent frigatebirds. 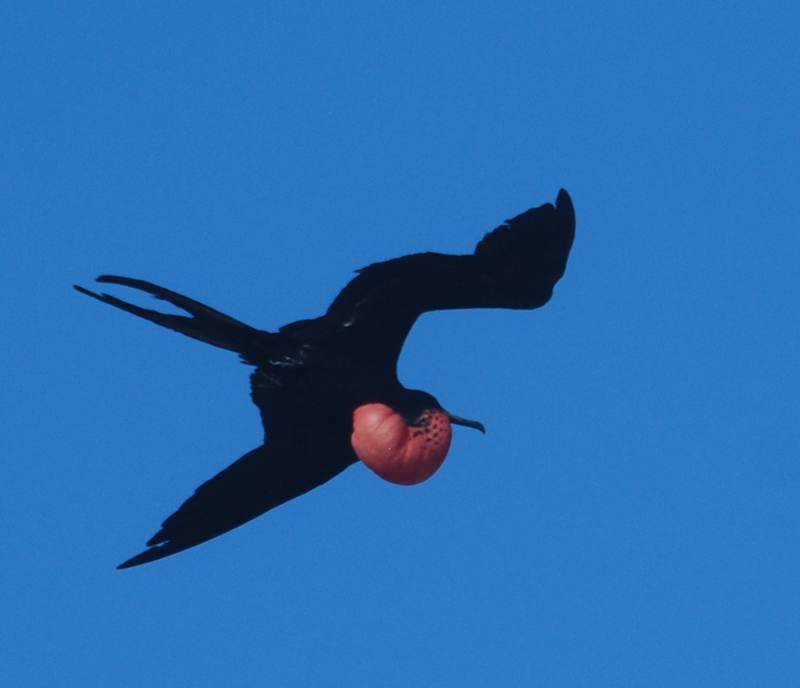 (It’s important to note that the two species of frigatebirds are distinguished by size and by the color of the sheen on their plumage. and giant Galapagos tortoises. So our opportunities for photographs – up close and personal – would be very probable. We learned we’d have a minimum of two excursions a day, plus opportunities for snorkeling (with wet suits and gear provided) and kayaking expeditions. 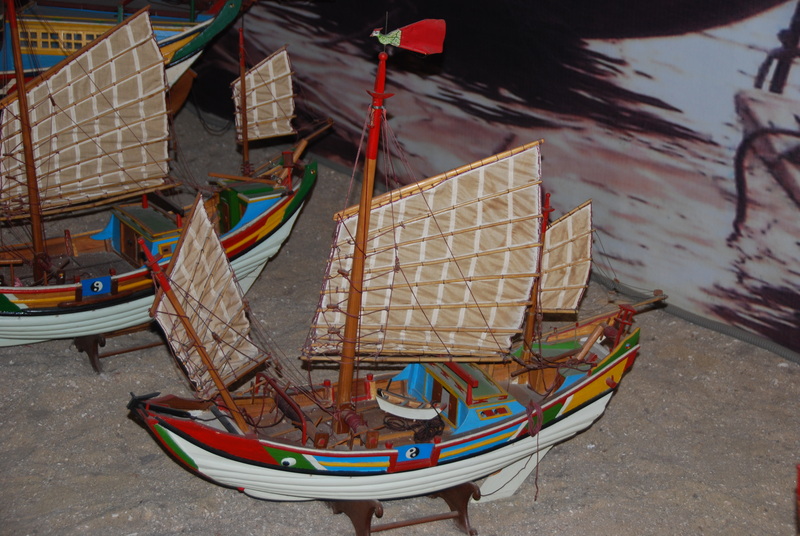 We learned that the ship would anchor in open water and we would be transported to each island by Zodiacs (very sturdy, heavy rubber boats with a capacity of 12-16 adults.) Park rules included using no flash with photographs, not touching nor feeding the animals/wildlife, nor allowing animals to touch us. We had to be prepared for both wet and dry landings (closed-toe water shoes for wet landings) and sturdy walking/hiking shoes for dry landings. Our “nature walks” (misnomer – more like strenuous hikes) would be on uneven trails/surfaces comprised of large/small lava rocks which required very sturdy shoes. 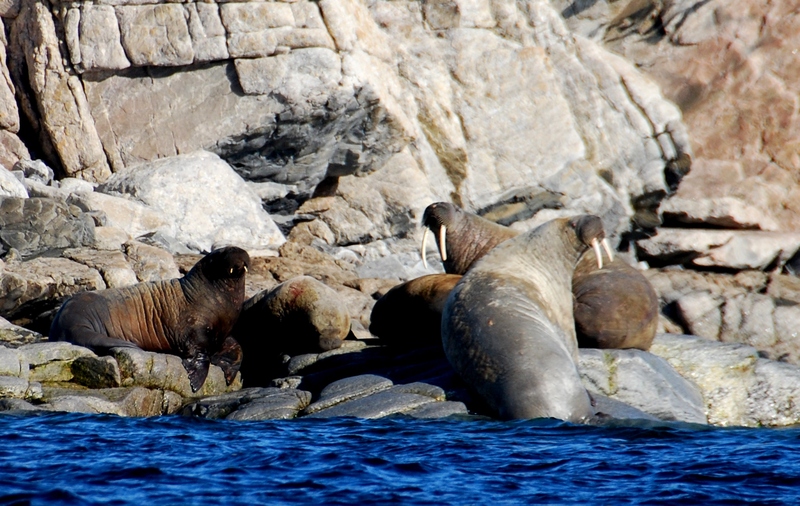 Yet before we began this journey, we first learned that this archipelago was a “living museum of evolutionary changes. 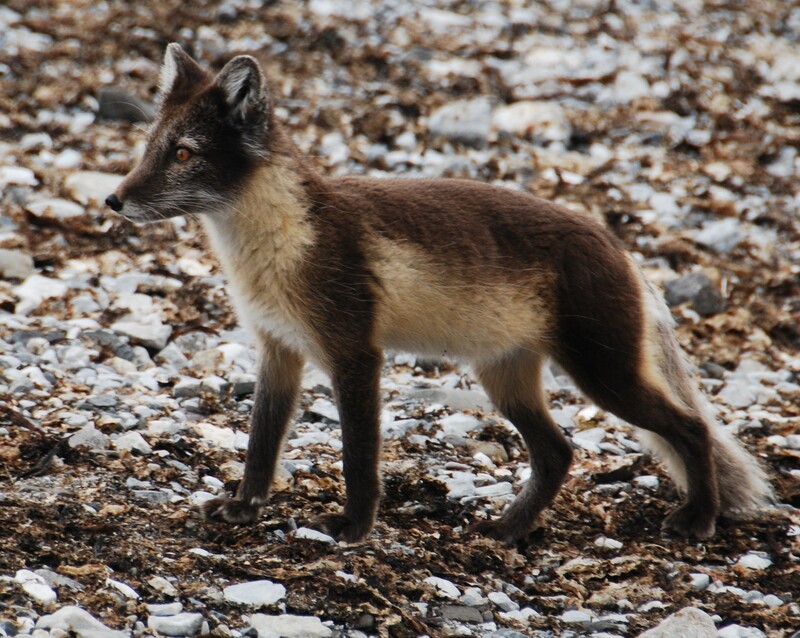 Free and fearless animals – different from any others found elsewhere.” Most importantly we learned that in 1831(some history books say 1835), Charles Darwin – a British geologist and “enthusiastic amateur naturalist” joined the voyage of the H.M.S. 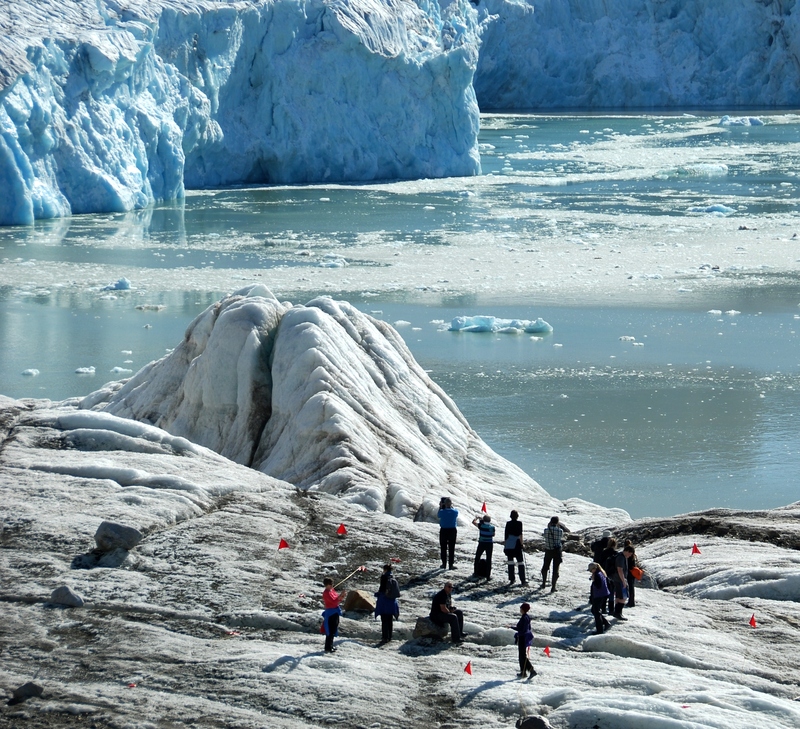 Beagle as an “unpaid companion” and geologist. It was this experience – combined with his detailed study and assessment of collected specimens over the next twenty years – that led to his theory of the Origin of Species – i.e. the Theory of Evolution. 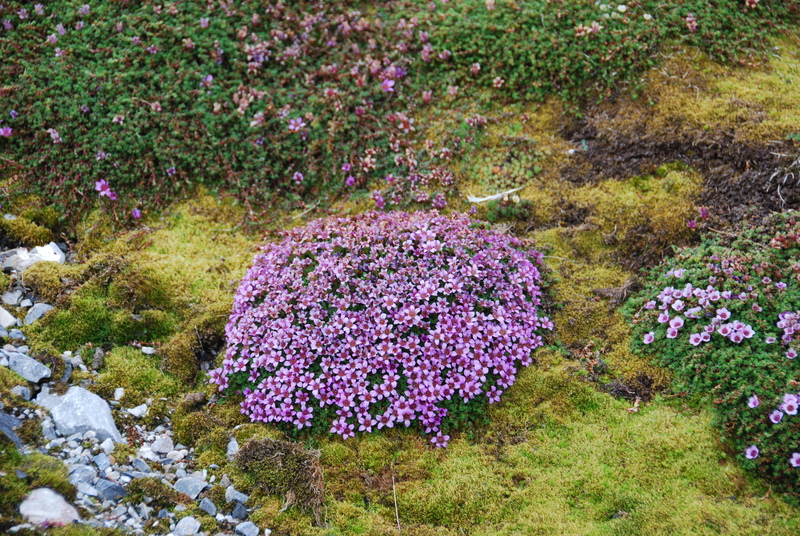 Darwin recorded – during the five weeks that the Beagle sailed between the islands – that “the natural history of this archipelago is very remarkable: it seems to be a little world within itself; the greater number of its inhabitants, both vegetable and animals, being found nowhere else.” It’s been said that “all who choose to make this unforgettable trip can confirm his observations and studies.” UNESCO declared Galapagos a World Natural Heritage Site in 1978; a World Biosphere Reserve in 1985. It’s also important to note that these islands (the archipelago consists of 13 large islands, 6 minor ones and more than 40 islets that lie approximately 600 miles west of the coast of Ecuador) appeared from lava eruptions that would come from the bottom of the Pacific Ocean and rise as much as 2,600 feet. Lava – from more than 2,000 craters – has continuously altered the terrain in this region. Following the Welcome Briefing and the incredible history lesson about Darwin, Dorothy and I returned to our stateroom, stood on the balcony with a glass of champagne and toasted to a wonderful, exciting 7-day North Central itinerary (June 17-24, 2017) in The Galapagos Islands… a “world” unto itself! Because we were right on the equator, the temperatures varied little between summer and winter (technically now winter – south of the equator.) Daily temperatures averaged between 75-80 degrees F., with not that much humidity; water temperature – low 70s F. But we were warned: the sun is hot and one can burn quickly. boobies, Nazca boobies, fur seals and Galapagos sea lions. Our 1-mile “nature walk” took almost an hour as we ascended/descended the steep and uneven Prince Philip’s Steps and hiked over uneven terrain of volcanic rocks. 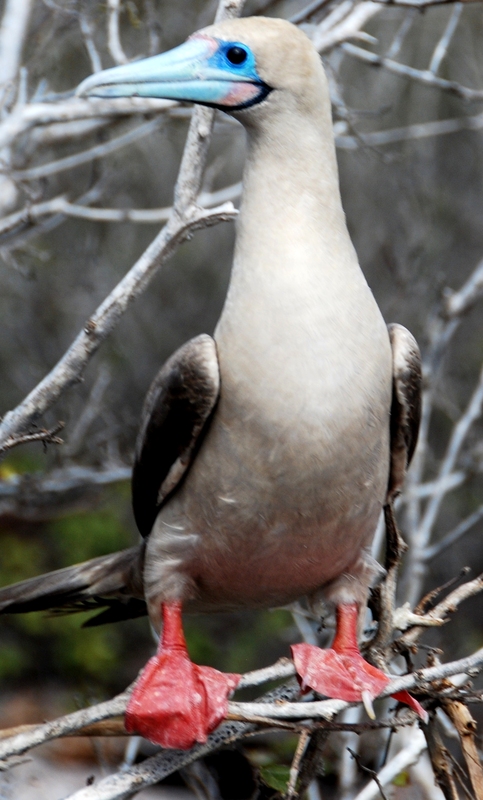 Most impressive were the red-footed boobies – characterized by their red feet, beautiful blue beaks and colorful faces. That afternoon, we embarked our Zodiac for a trip to Darwin Bay to view more wildlife. The informative and lively evening’s briefing was at 7pm. Dinner that evening was very special as Dorothy and I had been invited to join the Hotel Director as his guests for dinner in The Restaurant. A delightful evening. boobies performing their courtship dance known as “sky-pointing”, and land iguanas on patrol. Experienced snorkelers had their first opportunity for deep snorkeling to explore underwater marine life. For Dorothy and me – we kayaked this afternoon. She – a very experienced, long-time kayaker; me – only my second time-ever! Needless to say it was exciting, especially since you transfer from the Zodiac to the two-person kayak in open water – with the “goal” not to fall in the ocean. I was in front trying to establish a rhythm to our strokes and not panic about upcoming rocks and kayaks in front of us. (Dorothy later said the “biggest mistake she made was showing me how to ‘brake’ as that’s all I wanted to do, for fear we’d run into something.”) Obviously, we survived and it was fun! 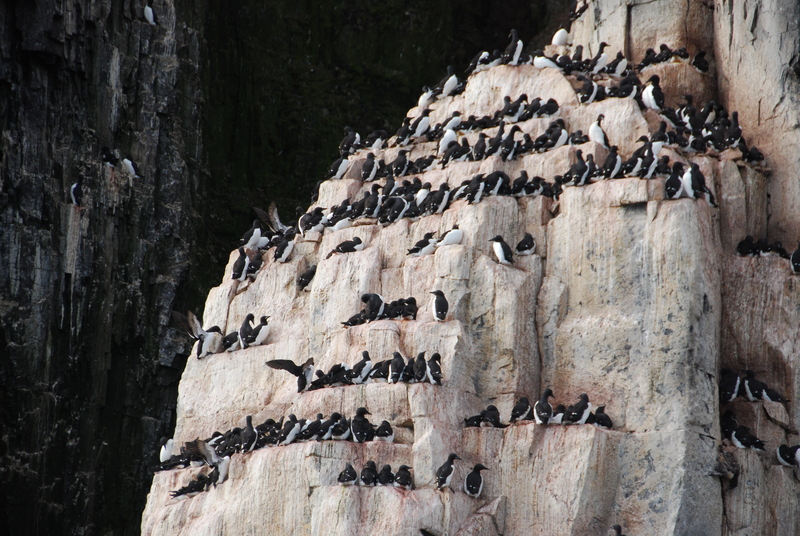 For Tuesday, we were on to Rabida Island, Eden Islet and Santa Cruz. Most impressive with this island was its spectacular beauty: red/maroon sandy beaches contrasting with the turquoise-blue waters, prickly-pear cactus against a backdrop of green Palo Santo trees and of course…wildlife – to include Darwin’s finches, lava lizards and Galapagos mockingbirds. Exercise today consisted of a moderate-paced nature walk, snorkeling, swimming and kayaking. Following our daily briefing, Dorothy and I were dinner guests of our favorite expedition guide, Karinna Lopez. to just a few days old. Our guide provided an excellent overview of the Breeding Center. 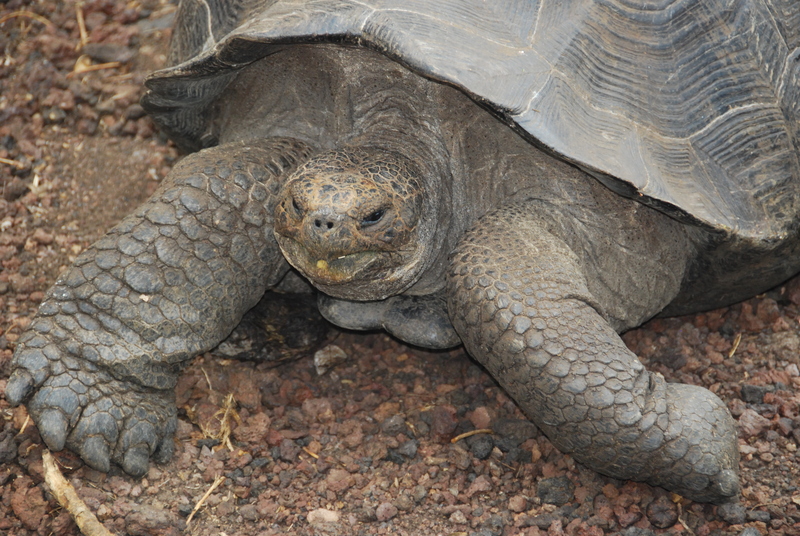 It was also pointed out how much work had been done since 1950 by the dedicated Galapagos National Park Service rangers and scientists of the Charles Darwin Research Center to bring back the Galapagos tortoise from almost extinction (due to hunting and competition from introduced animals on the islands.) When we got back to the small seaside town, we had time for coffee and to do a little shopping. Very nice! We opted not to take the afternoon hike to Punta Pitt. Considered “very strenuous with numerous inclines/declines on volcanic rock”, and since we were assured by Karinna, we wouldn’t miss seeing anything that we hadn’t already seen, we opted for a workout in the ship’s gym and an afternoon nap. 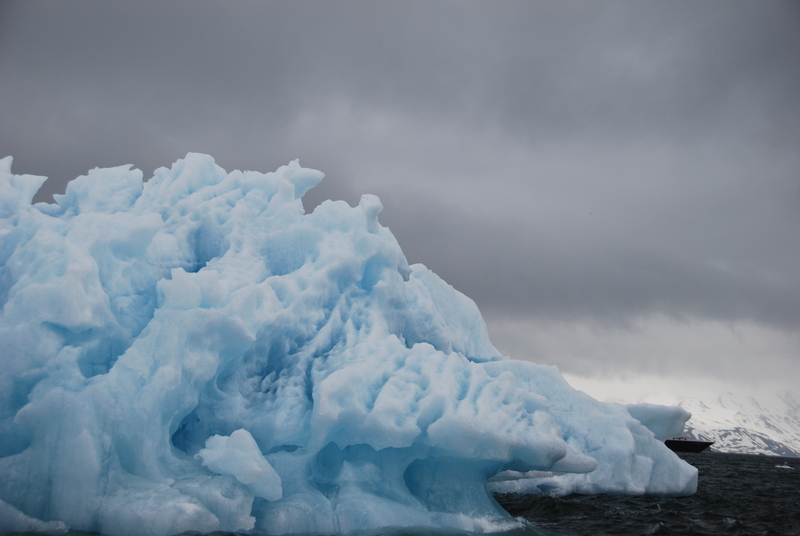 Our Thursday expedition again began at 7am – via kayak near Gardner Bay, San Cristόbal Island. Dorothy is such a skilled kayaker and “captain.” We kayaked in and out of the coves – in crystal clear waters – and saw numerous sea lions, birds and marine iguanas – basking in the early morning sun. There were eight kayaks in our group and it was a delightful outing. 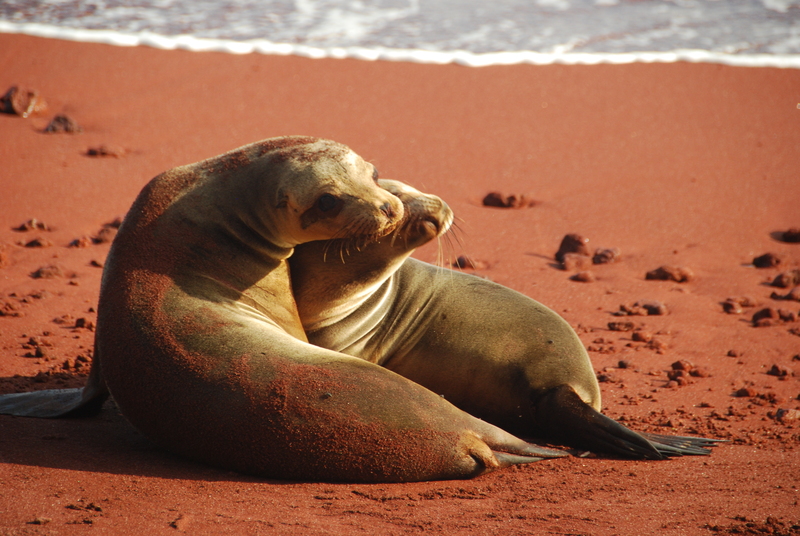 When we got back to the ship, I had the opportunity to take a Zodiac back to the beach (a red sand beach) and take photographs of hundreds of sea lions. I was so close to these magnificent creatures. It was just amazing and truly a once-in-a-lifetime opportunity to see these magnificent creatures in such a natural habitat. 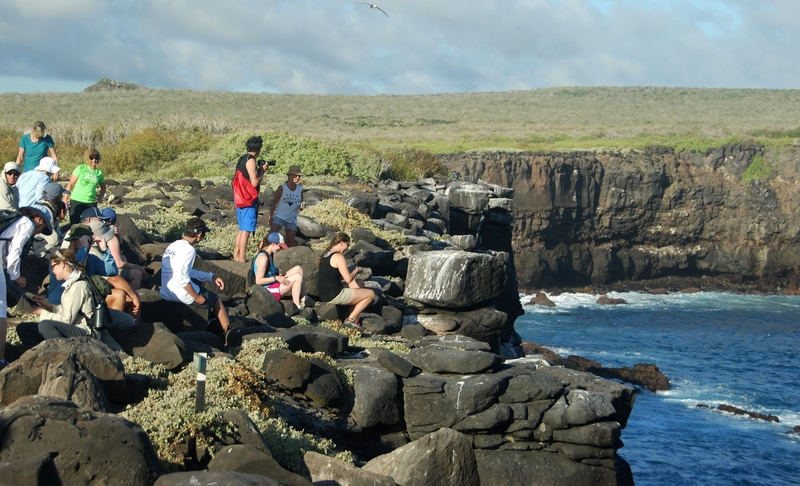 Our afternoon excursion was to Punta Suárez at the western tip of Española – the oldest island in the Galapagos. As we came ashore, we were facing stunningly-beautiful sheer volcanic cliffs teeming with swallow-tailed gulls, Nazca boobies, Waved albatross, mockingbirds and the occasional Galapagos hawk, as well as other seabirds. This afternoon’s 2 1/2 mile hike around the island was on large lava rocks – and it was challenging. But we made it. Friday was our last day in the islands. Our Zodiac docked at the pier in the small town of Puerto Ayora on Santa Cruz island. From there, we took a 30-minute motor coach ride to the Fausto Llerena Breeding & Interpretation Center outside of town where we saw giant Galapagos tortoise in their natural habitat on a private farm. Such prehistoric-looking creatures! 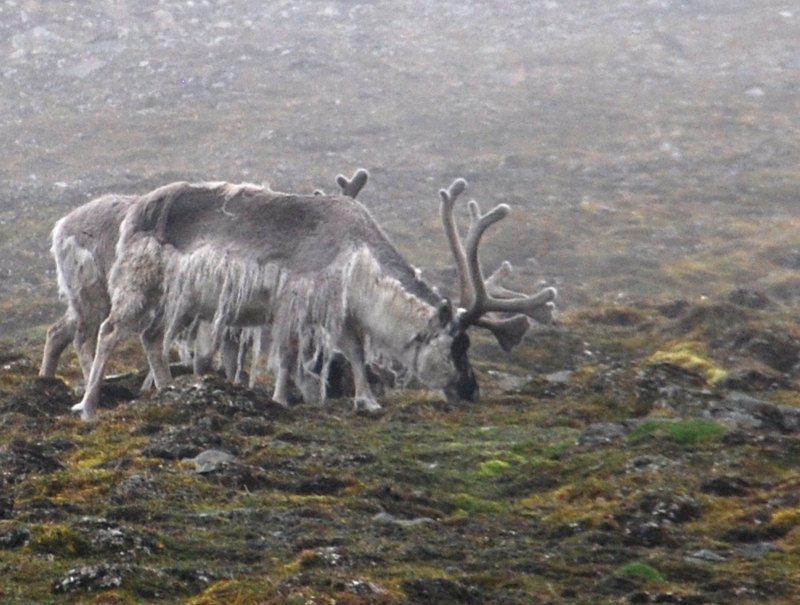 And to be right next to them – leaning down and almost eye level as you take photos – amazing! After our tour here, we went back to town, walked around and bought gifts to bring back home – especially chocolate and coffee gifts. (It’s important to note that Ecuador is known world-wide for their outstanding chocolates – made from cocoa grown in the Ecuadorian mountains. Also, the country is well known for their exceptional Ecuadorian organic coffee.) These were two of the most popular souvenir items – especially the chocolates. 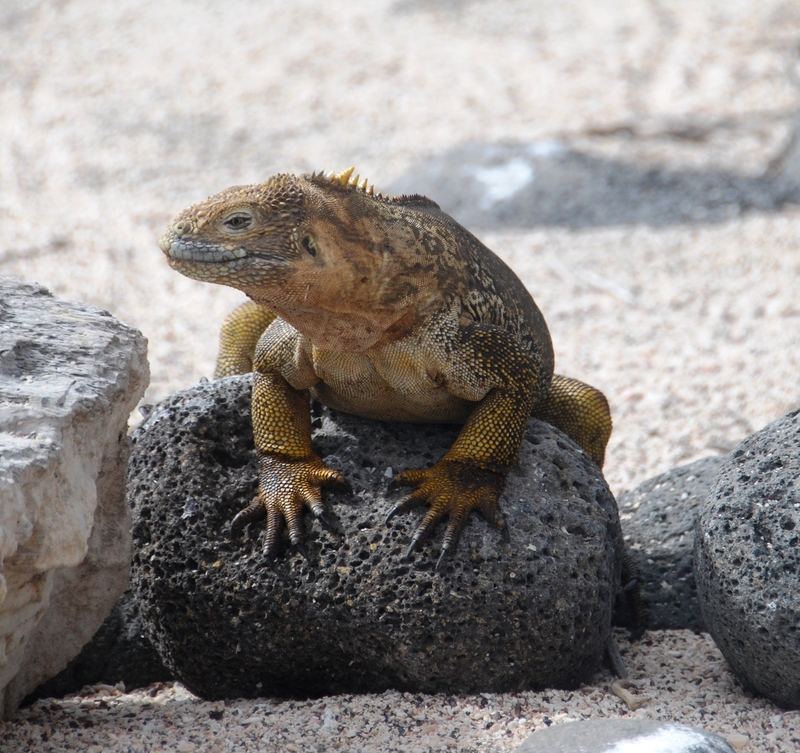 That afternoon – the final excursion – was to Plaza Sur – a small island near the eastern coast of Santa Cruz – to view the very unique giant prickly-pear cactus that grew atop an unusual mat-like ground cover of reddish sesuvium (aka Galapagos carpet plant or sea-purslane), and as well to see marine iguanas and, for the last time, our favorite sea lions. As you can tell, we really didn’t spend much time on board – except for meals (either in The Restaurant, The Grill, or room service.) The most fun experience was lunch at The Grill on Deck 5Aft. 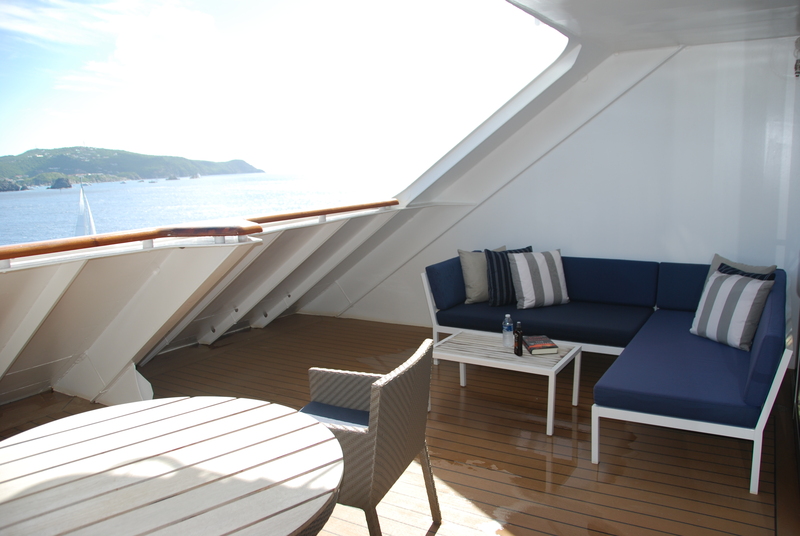 (Deck 6 was the top deck of this small 100-guest vessel.) At noon every day, we would be entertained with live music by Braulio, our talented singer and key-board musician who had everyone – including the crew – singing along with him. His lively entertainment at lunch, the fun and friendly Grill staff, and an exceptional buffet, with daily “black board” specials – made our al fresco lunch the highlight of our onboard experience. We had to vacate our staterooms by 6:15am Saturday morning. 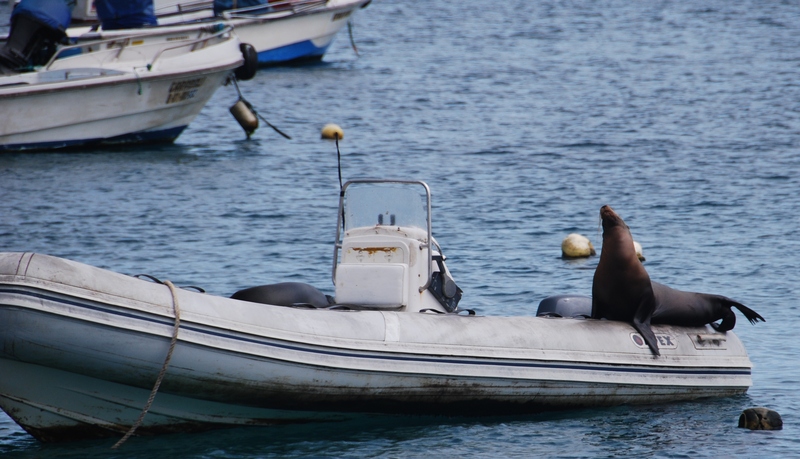 Following breakfast, we debarked – again in Zodiacs – to the pier at San Cristobal. From there, it was a 5-minute drive to the airport. It was a total 4-hour flight from San Cristobal to Quito, Ecuador. (We had one stop in Guayaquil where many of our fellow travelers deplaned for flights back to their final destinations.) We arrived in Quito about 4:30 in the afternoon, but our UA flight didn’t leave till 12:30am Sunday morning, so we had plenty of time (understatement) to explore the airport. (International flights are overnight flights and access to a VIP private lounge is limited to max 3 hours prior to your international departure.) And we must say… it was an exceptional airport with lots of restaurants, shops; and nooks and crannies where you could put your feet up and read and rest. We arrived into IAH on time at 5:50am Sunday morning, June 25. Having Global Entry and no checked luggage, we zipped through customs/immigration and were in our waiting transportation within 15-20 minutes of deplaning. Do we recommend this itinerary? ABSOLUTELY! 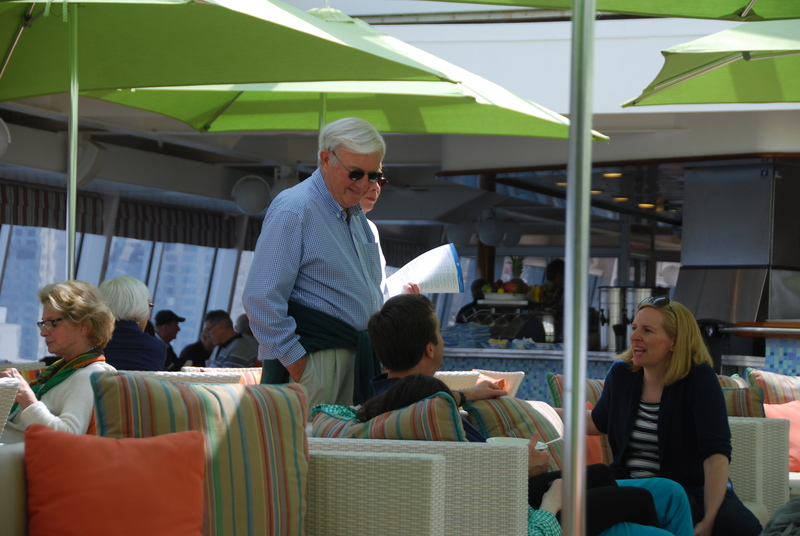 Many of the guests on board were family groups – multi-generational families with young children, teens, aunts, uncles, parents, and grandparents. 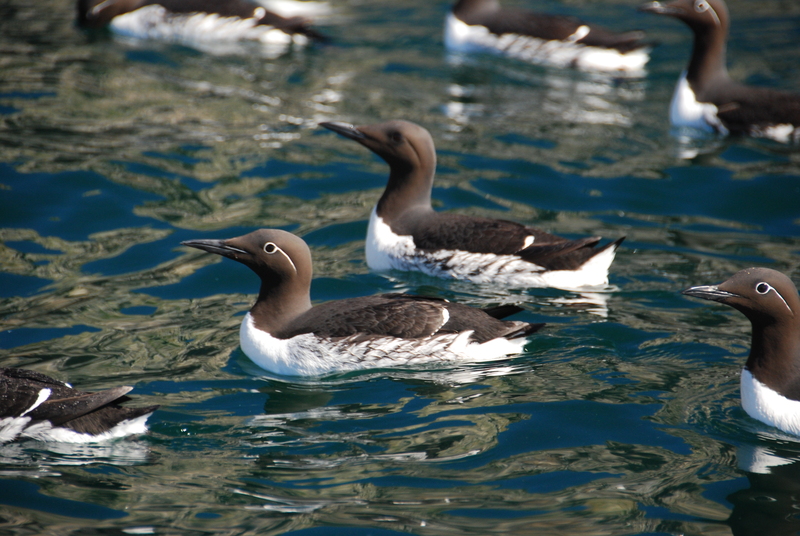 There were two large groups of 11 and 14 each. 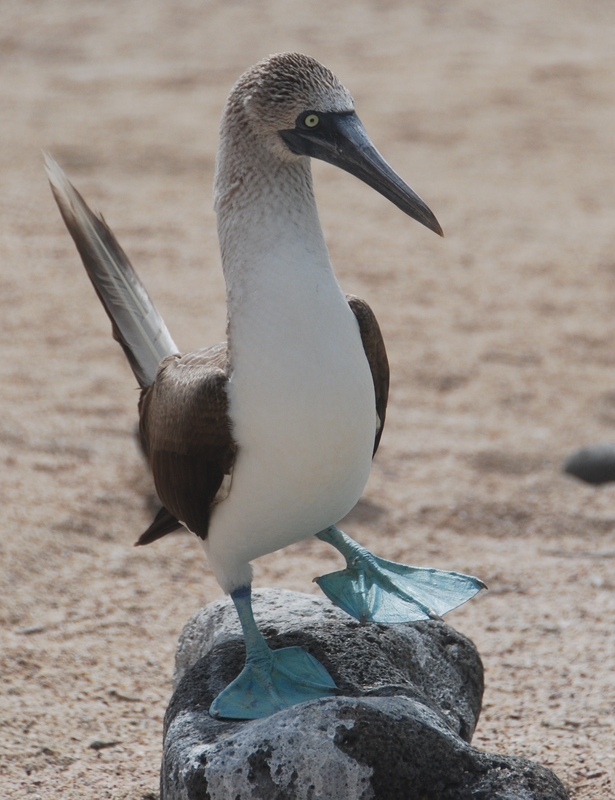 Also, onboard were several families traveling with teens celebrating their high school graduation with a trip to The Galapagos. Most of the guests were early 40s to mid 60s. 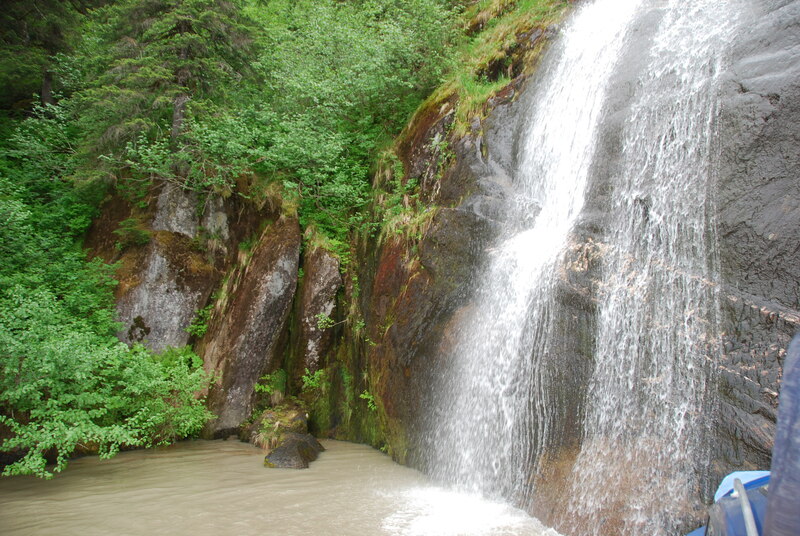 There were a few travelers older than us and everyone made the hikes and excursions. One gentleman from Switzerland was 84 and in excellent physical condition. Again, personally…Dorothy and I would have enjoyed this adventure more if we had experienced this itinerary a decade earlier. It was physically challenging. 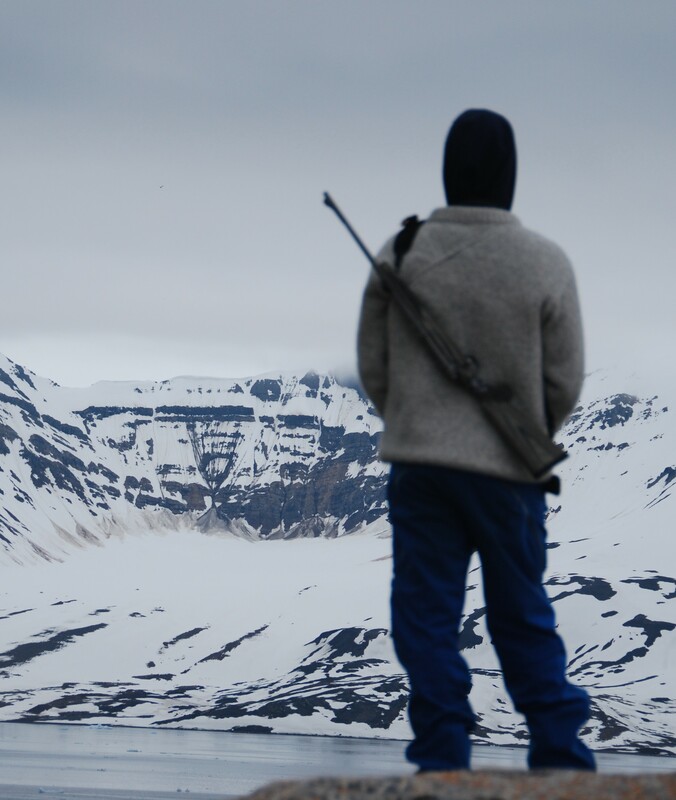 We also realized that we didn’t have to take part in each of the 2-3 daily expeditions offered – but for the most part – we did – ’cause we didn’t want to miss anything! We both realized just how fortunate we were to have had this incredible opportunity to explore Darwin’s Living Laboratory of Evolution: To see a giant tortoise feeding upon the only land it has ever called home. To see first-hand flora and fauna endemic to these volcanic islands lying in the vastness of the Pacific Ocean. To stand next to wildlife that has no fear of humans. 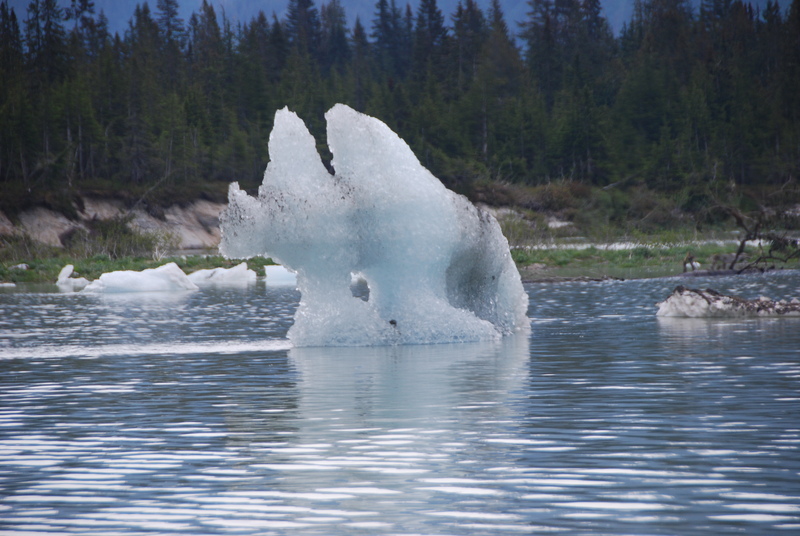 And, to witness just what happens when the “outside world doesn’t interfere with the wonders of nature.” Yes! Absolutely this is an amazing adventure that is truly once-in-a lifetime and should not be missed. 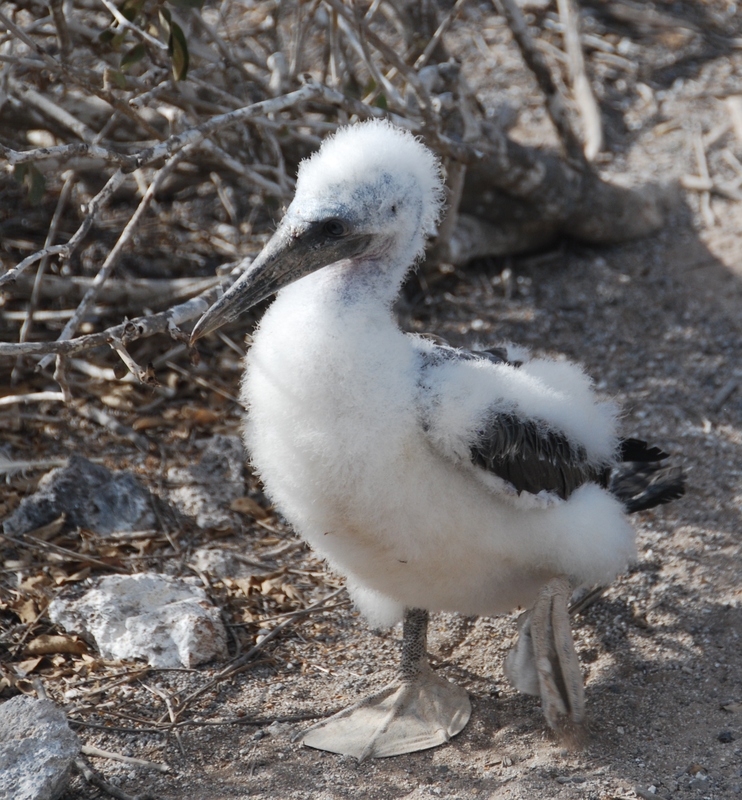 The Galapagos Islands… A “World” Unto Itself! What to pack; what to wear….On excursions: safari shorts or long pants; tank tops with a long-sleeved shirt, a wide-brimmed hat, sun glasses, sunscreen and sturdy hiking shoes for the daily treks across the lava rocks. Walking sticks recommended and the ship provides them. The weather was hot in the sun and you can burn quickly. We bought inexpensive “water shoes” at Academy and wore those for wet landings and then changed to our hiking shoes (or closed-toe reef walkers or Tevas) once we were on shore. Neither Dorothy nor I had checked luggage. THE best decision we could have possibly made! So much time saved and hassle avoided with embarkation, debarkation, going through customs/immigration, etc. by not having checked luggage. There are onboard laundry facilities, as well as onboard dry cleaning services, so numerous changes of clothing were not needed. In the evenings, we wore nice slacks and a top. No one really dressed up. On the evening that we were guests of the Hotel Director, a gentleman guest at our table did wear a jacket – but no tie. All day, during the day – it was shorts and/or casual wear. 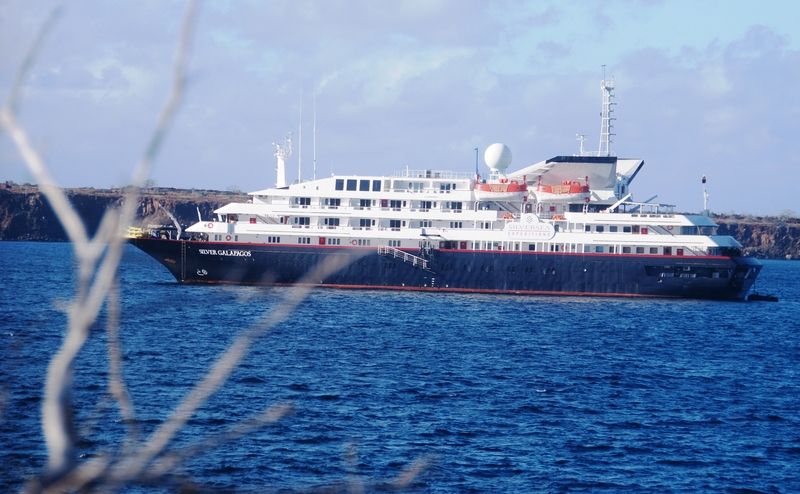 About the ship… As mentioned previously, the 100-guest Silver Galapagos is small – 6 decks (and the top deck has just four suites, along with the small fitness center, massage room and beauty salon. The ship was last refurbished in 2014. Our stateroom with two twin beds was an acceptable size. The bathroom was very small with a shower only and limited space for personal cosmetics/toiletries. We had a private balcony – albeit small – and enjoyed sitting outside. Booking… As with our Norway adventure last summer, we booked through Fox Travel in The Woodlands, Texas. For ground transportation, we again used Perry Corbo, ParkwayTransportation, The Woodlands, Texas. For any questions, please contact me at rbush1147@aol.com. Having returned recently from one of the best cruises – ever… I can honestly say that the new 750-guest Regent Seven Seas Explorer is truly a “destination” unto itself! Ed Hill and I booked this cruise over a year and a half ago. We chose the ship – because it’s brand new (launched in July 2016.) We chose the itinerary – round trip Miami – because it was an easy 2 1/2 hour, non-stop flight – Houston/Miami, and we were also eager to experience and enjoy a new ship all “decked out” for the holidays. 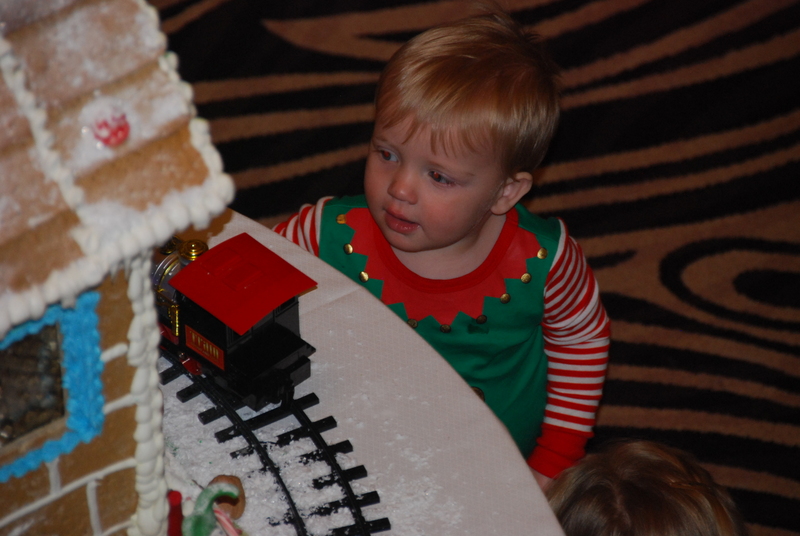 Many of the guests were multi-generational families traveling together for the holidays – such as grandparents, parents, children, aunts/uncles, cousins and family friends – with children ranging in age from toddlers through teens. Many of the guests were from Europe (Spain, France and Great Britain), as well as from other countries throughout the world. Needless to say, the ship sailed at 100% capacity. 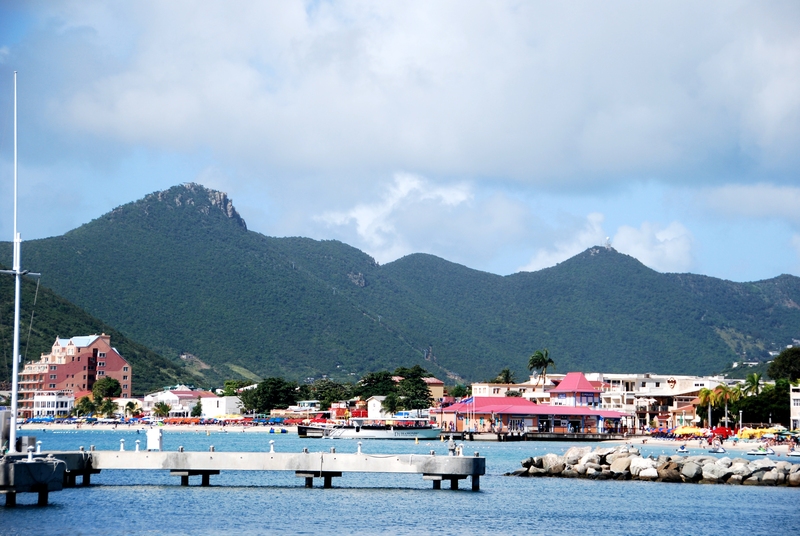 Our 10-day itinerary showcased such historic and popular ports as Grand Turk, Turks & Caicos Islands; San Juan, Puerto Rico; Philipsburg, St. Maarten; Gustavia,St. Barts; Tortola, British Virgin Islands; Cayo Leventado, Dominican Republic; and Nassau, Bahamas, plus two sea days. After the mandatory/compulsory Life Boat Drill, Ed and I returned to our stateroom for a glass of champagne and a toast to the wonderful opportunity to enjoy the next ten days together on this beautiful ship. We very quickly got our bearings and set our priorities as to what we wanted/hoped to accomplish on this 10-day holiday cruise getaway. Ed’s goal: read and rest and walk around in each port. My goal: work out in the gym every day, get a minimum 3 miles in every day on Deck 12 (weather permitting); eat healthy (well… with maybe just a little “extra” champagne to celebrate the season! ), read and rest. We both needed “down” time and to have the opportunity for some much-needed R&R. Not a doubt in my mind: This ship was to be my “destination” for the next 10 days! Let the cruise begin! We enjoyed a lovely and spacious accommodation, with an equally spacious balcony. We chose a stateroom in the center of Deck 9 – all the way forward. There were just three staterooms on Deck 9 far forward, and our balcony was totally private, as the balconies for the accommodations on either side of ours opened either to the port side or starboard side. It was a perfect location. Prior to the cruise cruise, we made dinner reservations in each of the specialty dining rooms (Asian – Pacific Rim, Surf/Turf – Prime 7, French – Chartreuse, and Italian –Sette Mari.) Note: Sette Mari does not require reservations.) By far, our favorite specialty dining restaurant for dinner was Pacific Rim; Prime 7 – our favorite for lunch. Our first evening’s reservation was in Chartreuse. Described as a venue featuring a “classic French menu with a modern twist,” the food and ambiance were very nice. 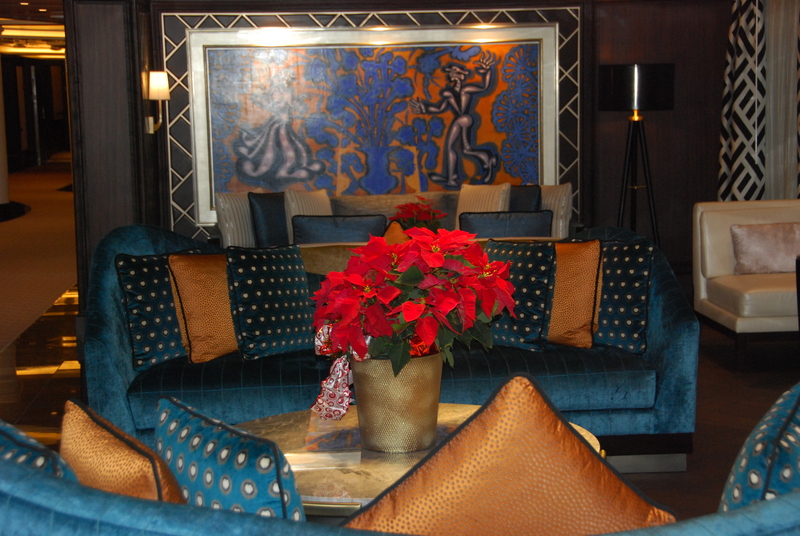 And as we walked through the ship after dinner, you could feel the excitement building for Christmas and Hanukkah! 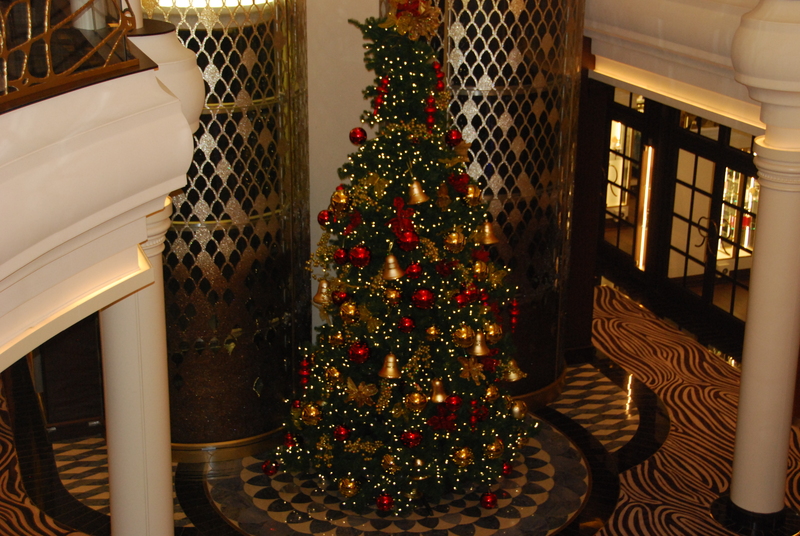 The decorations were stunning – from a beautifully-decorated giant Christmas tree -prominently positioned at the base of the dramatic circular staircase between deck 4 and 5 – to fresh poinsettias gracing each public area throughout the ship. Even though we didn’t take advantage of the evening’s shows, we did take full advantage of the beautiful Canyon Ranch Spa – and their exceptional services and treatments. Plus, I thoroughly enjoyed working out in the very large gym on Deck 6-Aft – complete with three fully-equipped rooms (including a special area for yoga/pilates and/or spin classes) that all overlooked the sparkling blue ocean water below. For cultural enrichment – specifically “culinary” enrichment – we signed up in advance for two of their awesome culinary classes: Gone Fishing and At Home Italian. First, we need to share with you the exceptional Culinary Arts Kitchen – which truly provides its 24 participants with “all the ingredients to expand your culinary skills in a welcoming environment reminiscent of the most prestigious cooking schools in the world in both layout and design.” In addition, the “culinary workstations are fully equipped with top-of-the-line induction cooktops, stainless steel sinks and a comprehensive collection of cooking essentials.” And, indeed “the curriculum will appeal to a wide range of tastes and cater to all levels of aptitude – from beginner to experienced chef instructors.” Our instructor, Annie Copps, was not only a highly-trained chef and excellent instructor, but she had considerable experience as a chef preparing dishes in front of a television camera, as a radio talk show host, as an author, and as a food columnist for various newspapers and magazines. Ed and I both like to cook, grill and bake and we thoroughly enjoyed each of the almost 2-hour classes that we took. 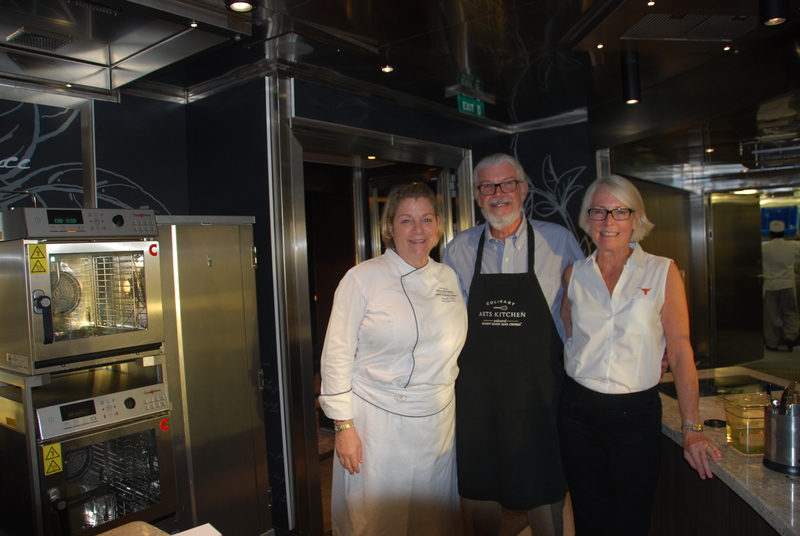 Culinary Arts Instructor, Annie Copps, with Ed Hill and me during our “Gone Fishing” culinary class. So much fun and we learned alot! 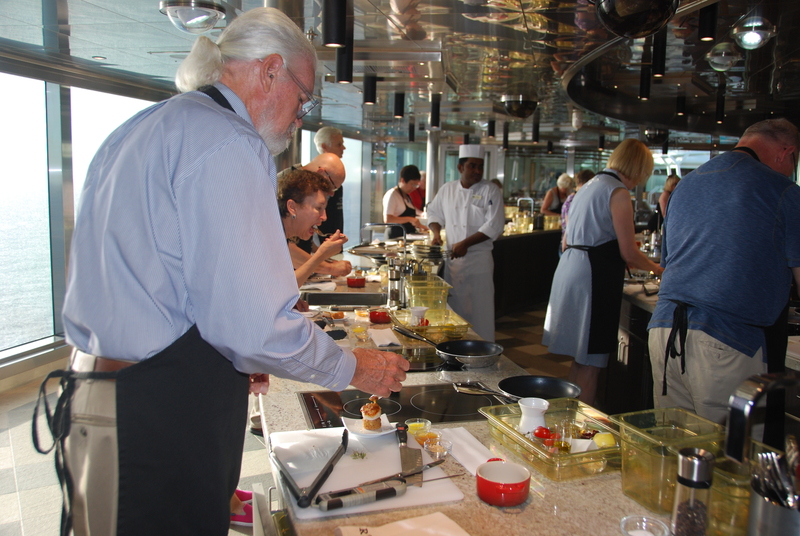 Our first class was “Gone Fishing.” We learned how to saute, shallow poach, deep poach, and pan fry fish and shrimp; make ceviche, and pan-fry scallops to a “golden brown.” Having a glass of white wine during our class only enhanced the fun and conversation all of us were enjoying. A couple of days later, we took the “At Home Italian” class. We learned how to make pasta – from scratch! And for someone who was overwhelmed with just the thought of making pasta – it really was easy! We learned how to buy, store and cook with extra virgin olive oil and we also learned that you should not add olive oil to your cooked pasta if you plan to add a sauce – as the sauce will not stick to the pasta if olive oil has been added. Other class options ranged from “Everything French” and “Light My Fire” to “Brunch Favorites”and “Healthy Greek.” These culinary classes are highly recommended. 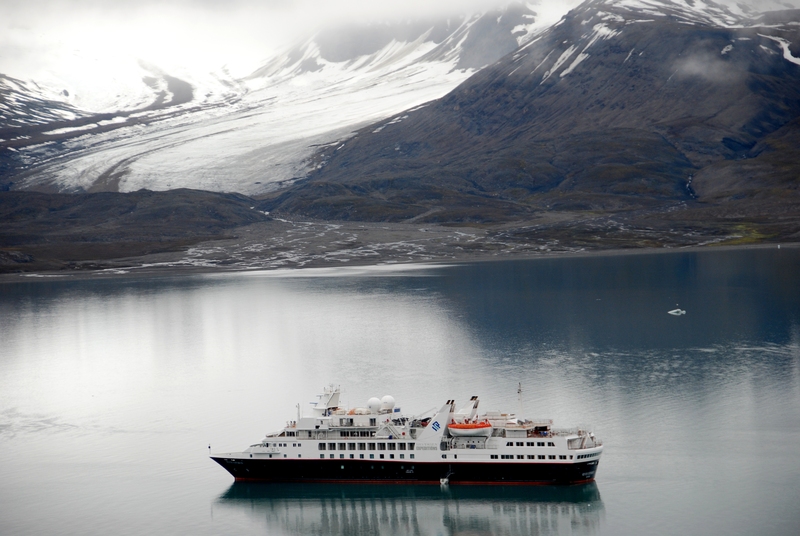 As mentioned before, we had a port every day, with the exception of two sea days – one on each end of the cruise. 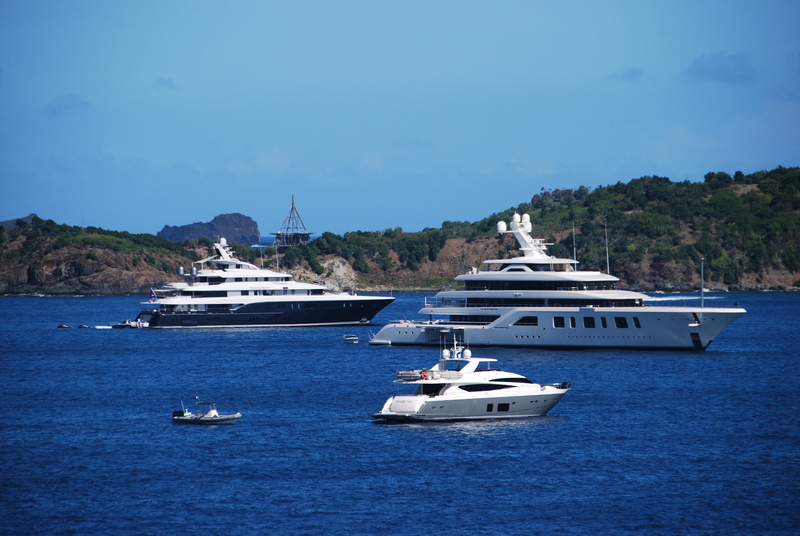 In each port, with the exception of San Juan, Ed and I debarked and just strolled around the town for an hour or so – just to say we’d “been there.” Gustavia, St. Barts was by far the classiest, prettiest and most upscale Caribbean port we visited. The variety of activities and local vendors on the beach in Cayo Levantado (Dominican Republic) were the most interesting; while the port of Nassau, Bahamas was the most fun. We had lunch/drinks at a packed open-air bar/restaurant near the cruise terminal. It was great fun sitting at the bar people-watching and listening to live music for a couple of hours. Of course, the onboard highlight for us was the Christmas celebration. Beginning Christmas Eve afternoon, activities included the “popcorn” movie “It’s A Wonderful Life,” followed by Christmas Caroling in the Atrium/Deck 4 before dinner. 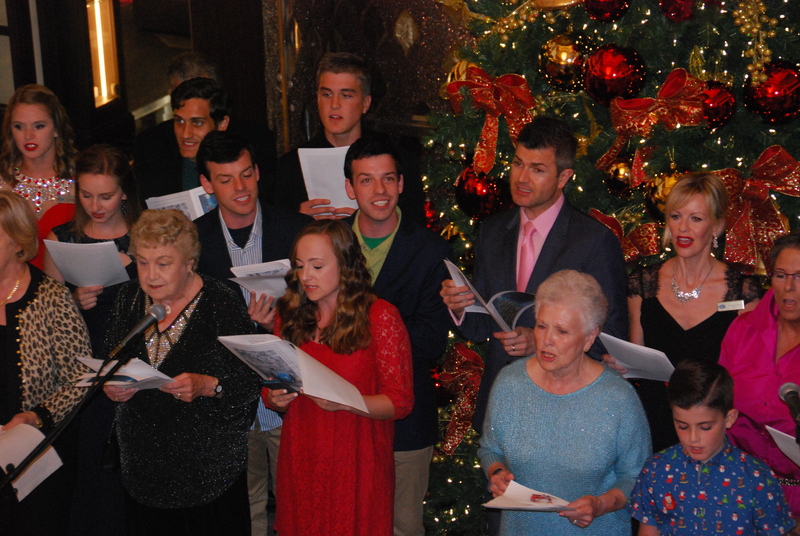 A Hanukkah service, a special late-evening Christmas Carol concert and a Midnight non-denominational Christmas service rounded out the activities and programs for Christmas Eve. Christmas Day began with a delightful “Christmas Caviar & Champagne Breakfast.” Another “popcorn” Christmas movie (“Elf”) was followed with afternoon tea featuring Christmas caroling and Christmas Teatime Trivia. Next, a late-afternoon non-denominational Christmas Day service and Lighting of the Menorah concluded the afternoon’s program. At 6pm, Santa’s “extra special visit” that included bringing gifts for all youngsters (under 12) was especially fun and festive. And for those who still wanted to celebrate, a late-evening “Christmas Karaoke” capped the ship’s holiday entertainment options in the Explorer Lounge. Monday, December 26th was a much-needed day at sea and a chance for everyone to wind-down from a festive and busy weekend. Tuesday was our last port of call – Nassau, Bahamas – and the realization that Wednesday morning we would say our farewells to everyone we’d met on board. As we stood on our balcony for the last time Tuesday evening, we reminded each other of the stunning sunrises and sunsets and the beautiful “views” we experienced as we sailed into and out of a port almost everyday. 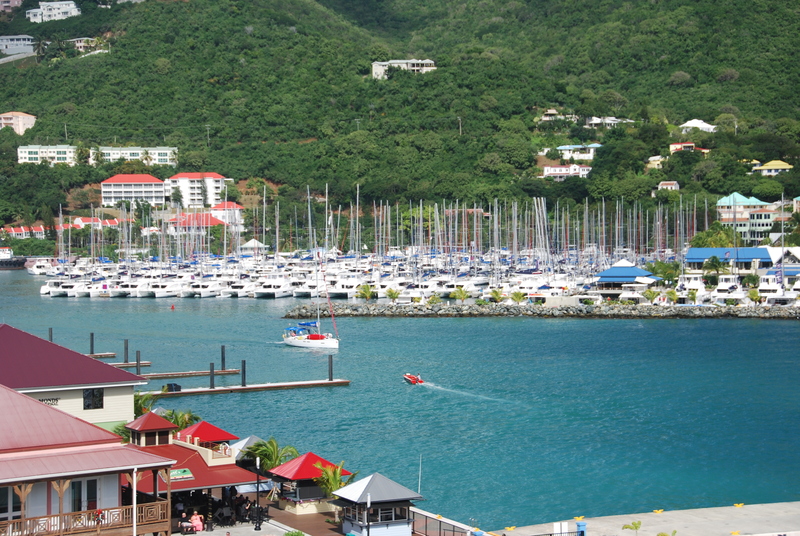 Each view was comprised of luxurious yachts and sail boats anchored in calm, sparkling, clear aquamarine waters – all with a backdrop of white sand beaches dotted with brightly-painted homes and buildings along the shore line. Each morning we experienced a picture-perfect, postcard vista as we sailed into a new port and watched the sun sparkle off the clear blue ocean waters. Wednesday morning, following an early breakfast, we debarked and took a short 20-minute motor coach ride to the airport followed by an easy 2 1/2 hour United flight from Miami to IAH. We were met at the airport and enjoyed a quick one-hour and 10-minute -drive to Galveston. We are happy to be back on Galveston Island and home – rested and relaxed. This truly was an incredibly pleasant 10-day cruise. 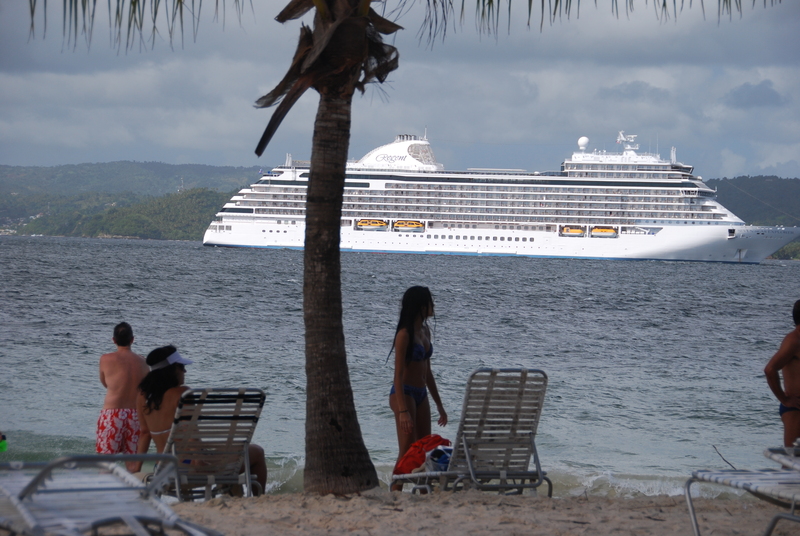 With the theme Cruising… When Your Ship Is Your “Destination”…. 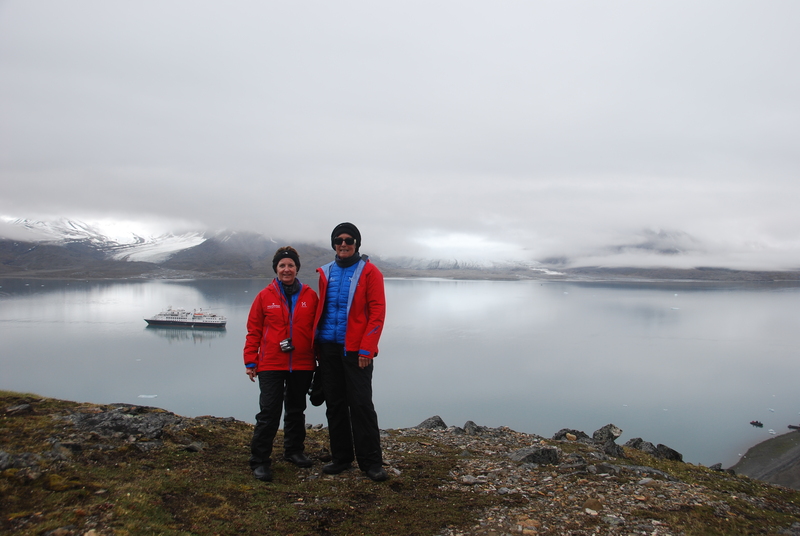 this was – for us – the perfect ship and the perfect itinerary! For more information about the new Seven Seas Explorer (or for specific information about Regent Seven Seas’ other fine ships, call your travel professional or visit www.rssc.com. Again, we booked with Fox Travel American Express in The Woodlands (Houston),Texas. 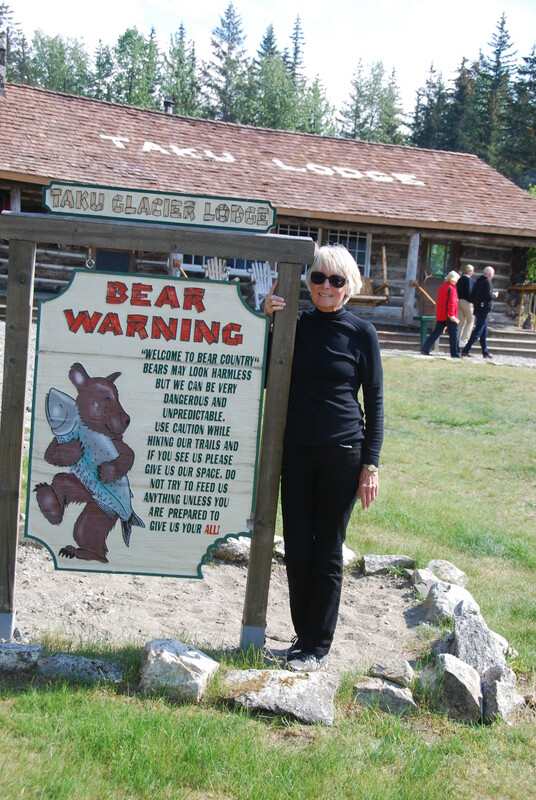 Debbie Parker, our Travel Counselor, is highly-professional and knowledgeable and does an excellent job with the arrangements. Contact information: debbie@foxtravel.net; or call 281.363.0808. Our ground transportation was again provided by Perry Corbo – a very professional gentleman and excellent driver who offers a superb staff and a variety of transportation services to meet – and exceed – your expectations. His company is Parkway Transportation in Houston. Email:parkwaytrans1@gmail.com; contact – 832.659.8365. If some of your family with whom you’ll be traveling on this special holiday vacation are new to cruising – consider an itinerary that calls on a port every day (or at least most every day.) That way everyone should feel comfortable about the itinerary, shore excursions options, as well as on-board activity options. All of a sudden, during our final sea day while cruising the Yellow Sea, the realization sets in: This incredible11-day cruise is almost over. Once back on board, we got our packing completed, had our final room service dinner and said our “goodbyes” to Rainer. Breakfast, our last morning in The Lido Cafe was sad as we said our “farewells” to our favorite servers – Nuno, Derrick, Norman, John-John and others – who made our cruise so special for us. Yet now…It’s on to Beijing. 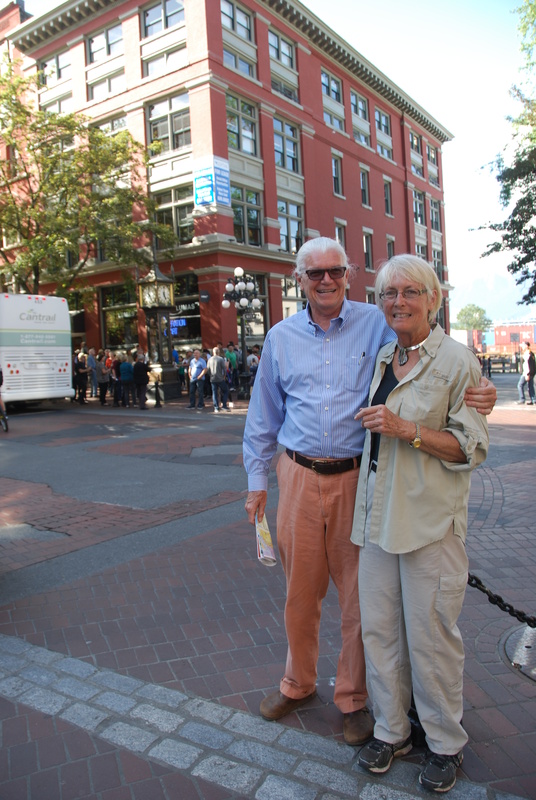 We’re fortunate to be traveling with Pat and Colleen (our Dallas friends who we met early on during the cruise.) And, we were also fortunate – although we didn’t know it when we were assigned to Bus #10 – that we had THE best guide and a fun group to share the next three days with as we toured Beijing. There were 32 of us and we represented not only the US of A, but South Africa, Mexico, Canada, Bolivia, England, Australia and Switzerland. The consensus: We all really, really loved the cruise and none of us were ready to leave our beautiful “home” at sea. Altogether, there were 13 motor coaches of Crystal guests who were embarking on this three-day/three -night land package to Beijing. Our hotel for the next three days would be the China World Hotel Beijing – a 5-star property that is part of the Shangri-La Hotel Group. But first, we had a 150-mile journey from the cruise terminal to downtown Beijing. Enroute, our guide Jason – a native Beijinger – shared some more facts with us about his country that we had not heard before. 65% of the country’s population lives along the east coast of the country. Manufacturing is # 1 industry – silk, agriculture ( rice), porcelain production, tea, and of course – automobiles. Pandas are the national animal. Beijing is recognized as the cultural and political center of China; Shanghai – the industrial and financial center of the country. AND – this is the best… when we (and other foreigners) shake our heads at a decision or action that doesn’t make sense to the western world, The Chinese response is: “CHINA IS CHINA.” And that essentially ends the conversation. 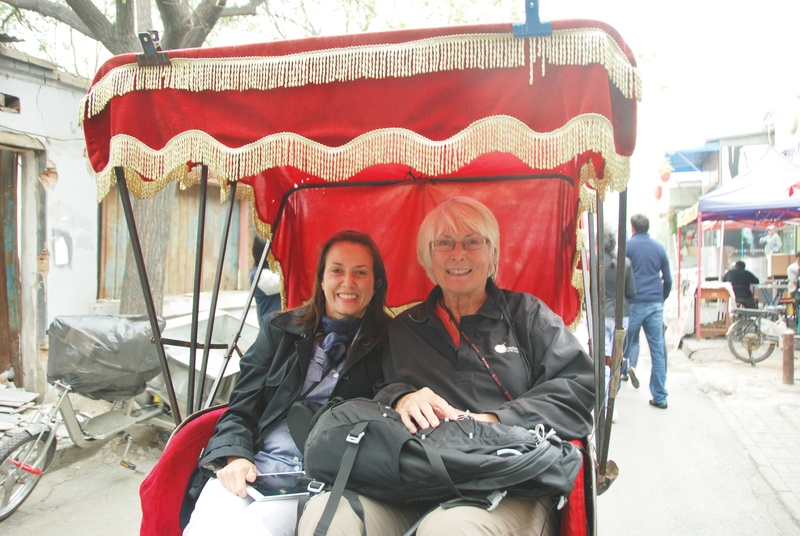 Cynthia (left) and I on our rickshaw ride through The Hutongs ( alleyways) of Old Beijing. The highlight of today’s tour was a visit to Old Beijing and a rickshaw ride through the narrow streets and alleys – aka Beijing’s hutongs. Besides the fun rickshaw ride, we were ushered in to a private home for literally a “glimpse” of a local Chinese family’s way of life. Jason translated for us the introduction by the elderly homeowner who shared with us his profession, family history and why he loved where he lived in Old Beijing. Soon after that, we headed to our hotel and checked in. Our second day of touring Beijing began early. It’s worth noting: The buffet breakfast in the dining room was the most expansive, I have ever seen. The buffet lines were immense and featured at least 75 different food and beverage choices – everything one could imagine ( or not imagine!) for breakfast. 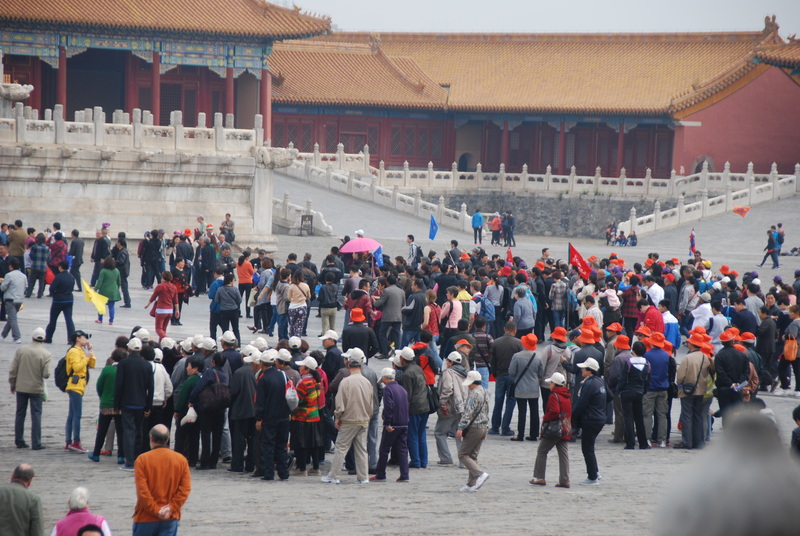 By 8am, we were on Bus #10 with our first stop the Forbidden City and the home of The Last Emperor. From there, we went to Tiananmen Square. Originally built in the mid 1600s , it was enlarged to almost 100 acres in 1958 and can accommodate more than one million people! For most of us, the most memorable event was the pro-democracy rally in May/June, 1989. It’s also interesting to note that Jason told us before we got off the bus, that we were NOT to ask any political questions of him while in the Square as he (as a Chinese citizen) was forbidden by law to discuss what happened and/or to give his opinion. Before heading back to our hotel, we stopped very briefly for photos at Olympic Park and to see the “Bird’s Nest” and the “Water Cube” that were part of the 2008 Beijing Olympic games. 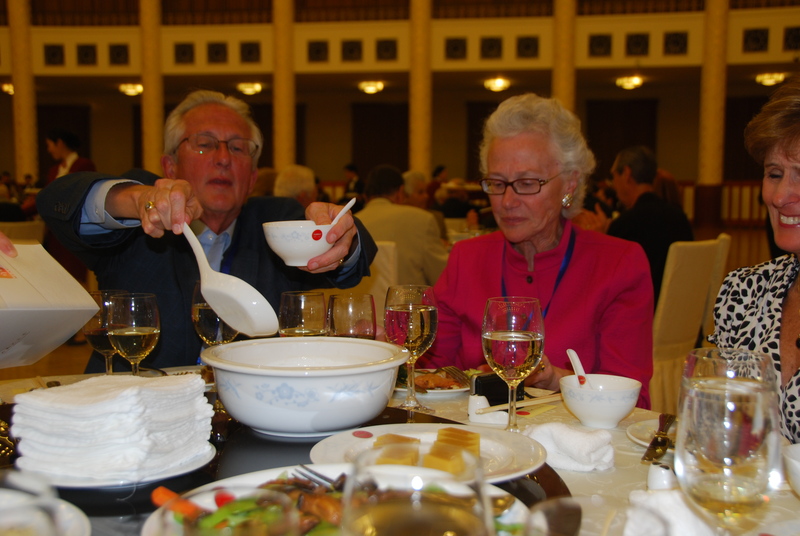 We made a quick trip back to the hotel to shower and change clothes before reboarding Bus # 10 for a private dinner and entertainment at The Great Hall of the People – ONLY for our Crystal Cruises group. And what an evening it was…. entertainment ran the gamut from opera singers to young Chinese acrobats and all performances were very, very well done. Dinner (served Family Style/Lazy Susan) was delightful with impeccable service. 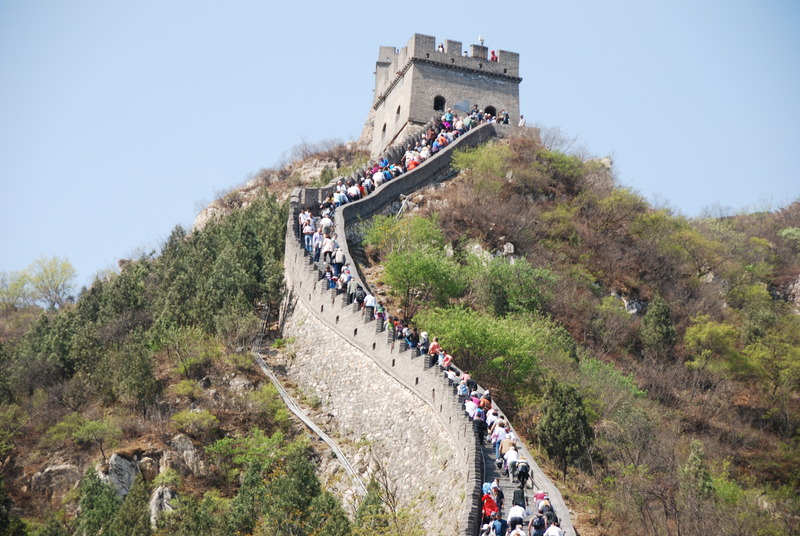 Our very last day of our Asian Adventure was Monday, April 21st, and we were heading to The Great Wall. 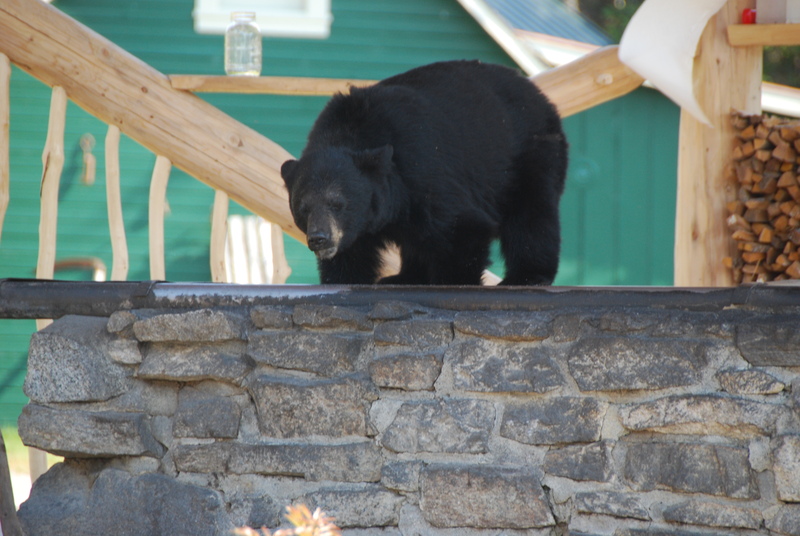 For Cynthia, Pat, Colleen and myself – this was the highlight of this three-day land excursion. We climbed to the top! And it wasn’t easy. Built in the 3rd century B.C. 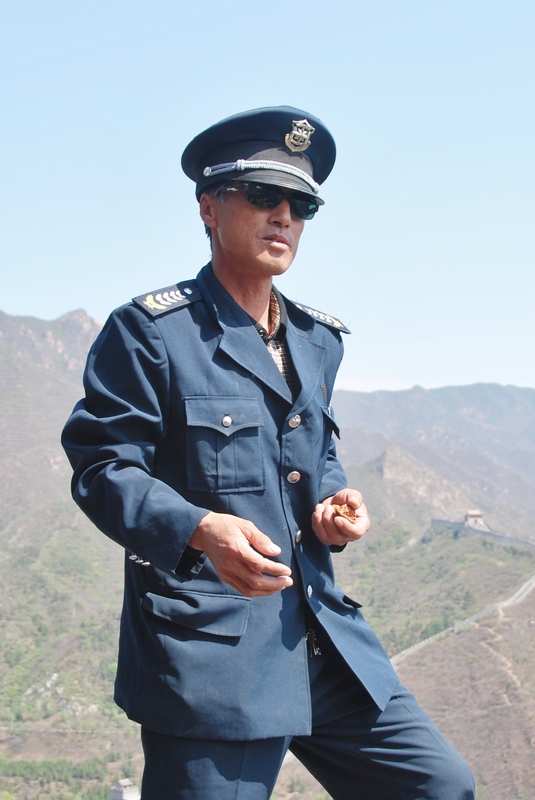 to protect China’s northern border from marauding nomads and “barbarians”, the Wall stretches almost 4,500 miles – east to west – and required the labor of almost 1 million workers to complete! The steps varied in height between 6″ and 18-20″ and at least for the four of us – we held on dearly to the hand rail -both going up and coming down. As with every place we toured, there were thousands and thousands of visitors. Our last stop of our three-day/three-night Beijing land tour was the Temple of Heaven – a stunning complex comprised of buildings and gardens, trees and colorful landscaping. Built between 1406 and 1420, this is where the Ming and Qing emperors went to worship Heaven and to pray for a better harvest. Covering almost 680 acres, this site is considered “one of the best in Beijing to observe ordinary Chinese at play.” We observed myriad of people playing card and tile games, line dancing, a karoke singer, individuals playing musical instruments, familes having picnics, as well as other fun examples of the locals simply enjoying a relaxing afternoon with friends and family. Finally, we head back to our hotel. Everyone on Bus #10 was exhausted and we ready to get packed and get back home. The next morning following a leisurely breakfast, we departed for the airport. Again, we were accompanied by Crystal staff on the shuttle. Not only that, but we had a Crystal rep with us all the way through check-in at the airport. A very nice and much-appreciated service as the Beijing airport was huge. We boarded our Air China flight for a 13 1/2 hour non-stop journey over the North Pole to Houston. Since we lost a day coming over, we gained our day going home, so essentially landed about the same time/day we departed Beijing. ( Thirteen hour time difference for us.) We zipped right through customs, got our luggage and headed to Galveston. We were “home”. Yes, we were HOME! 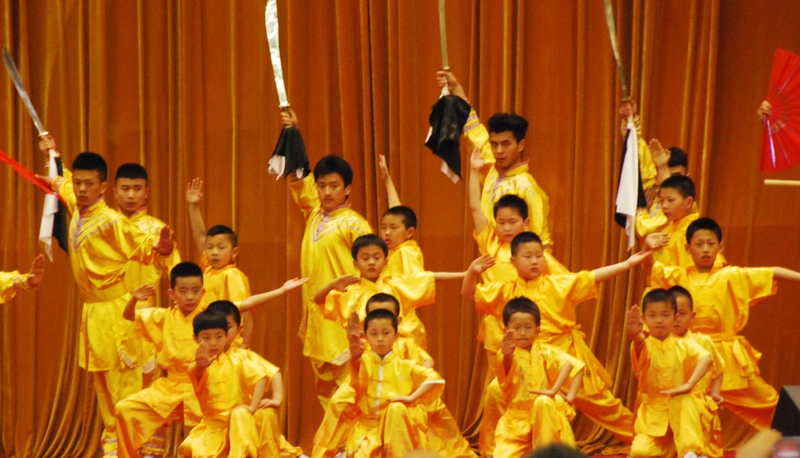 As first-time visitors to China, our 17-day Asian Adventure had been, indeed… an amazing and very interesting adventure! A few additional comments and observations… Dalian is considered a “remote Manchurian seaport” that lies on the shores of the Boi Hai Gulf. 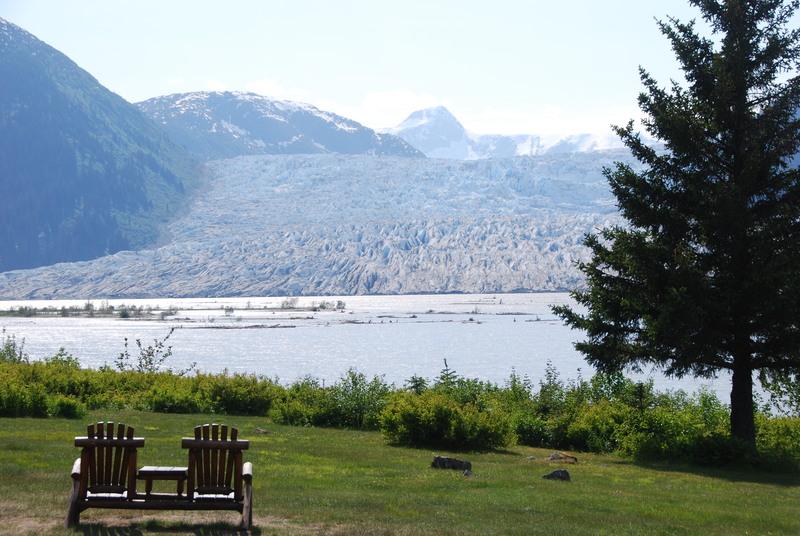 Throughout history, this ice-free port has been a coveted prize for conquerors. Showcasing Chinese, Japanese and Russian architectural styles attest to Dalian’s strategic importance. 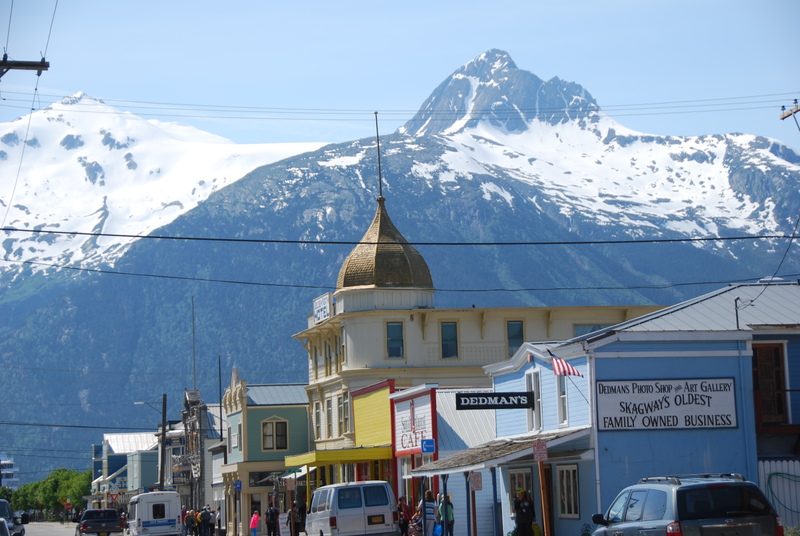 Although a big city, it has a “small town” feel -more so than any other city we visited. Beautiful beaches, parks and a long-established population of popular folk artists seemed to give the city a more “casual” ambience. Also, tourism is very important to the economy here – as evidenced by a contingency of local college students greeting us – and wearing “Welcome” Badges – as we got off our shuttle bus at the Friendship Shopping Center. Would I go back to China and Asia? ABSOLUTELY! But only on a cruise. With Crystal – as I’ve said many times – you’re “home” when you board your ship. 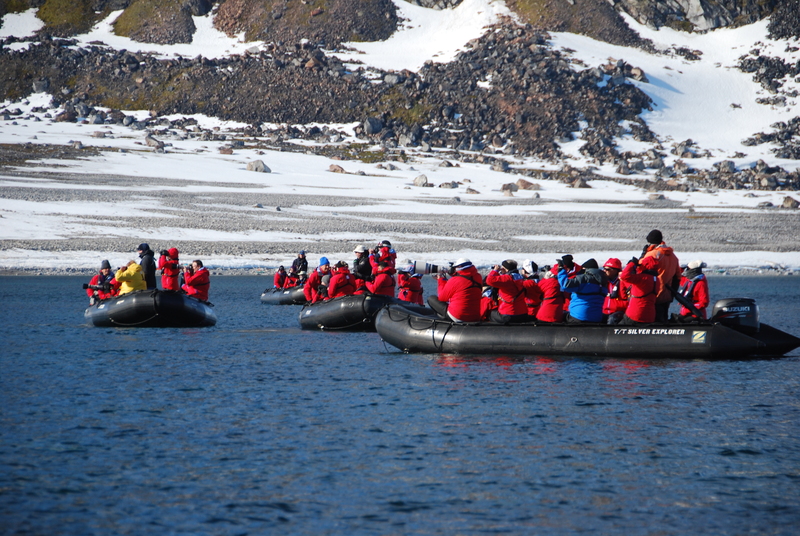 The quality, professionalism and sincere friendliness of the staff, combined with the interesting and exciting onboard enrichment programs; the extensive and diverse options for each port’s shore excursions and the well-planned, multi-day land excursions offers one an incredible opportunity to see, explore and experience so much of the local culture. And “all” of this is enhanced by knowing you have your ship to come “home” to after a long and busy day ashore. It’s a wonderful, wonderful way to see the world…. And the difference really is Crystal clear. 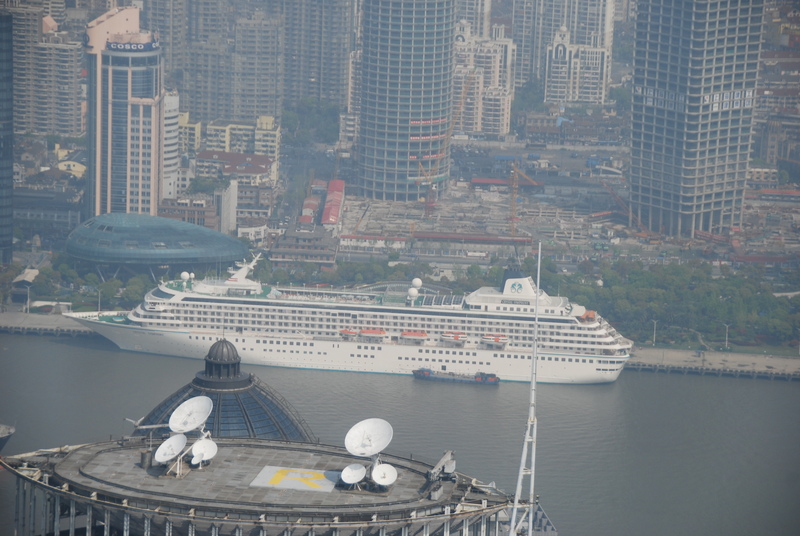 Our Asian Adventure Continues Aboard Crystal Symphony… SHANGHAI! 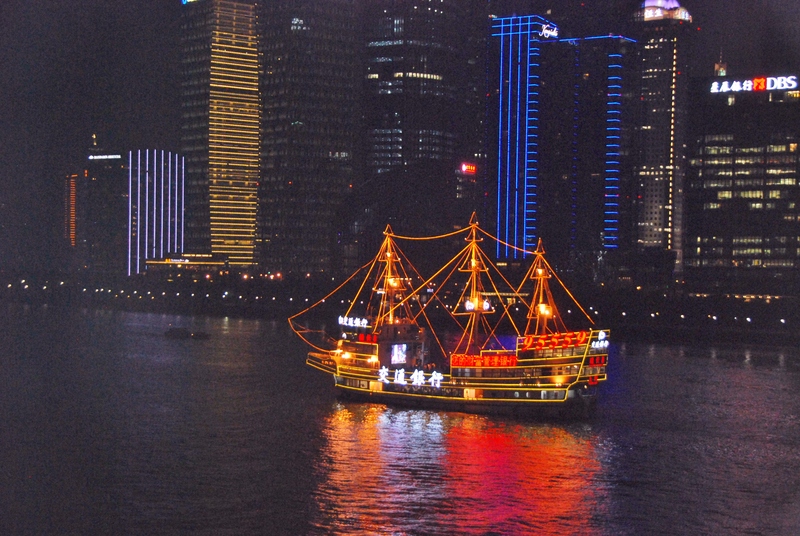 Following a delightful Palm Sunday at sea, we docked in Shanghai early Monday morning, April 14th. Situated at the mouth of the mighty Yangtze River – actually situated in the Yangtze River Delta of East China – Shanghai is not only the largest Chinese city – it is THE largest city proper in the entire world with a population of almost 24 million. As we stood on our balcony, it was hard to grasp the magnificent vista before us: A skyline backdrop that went on – seemingly forever – combined with bustling river traffic right below us. 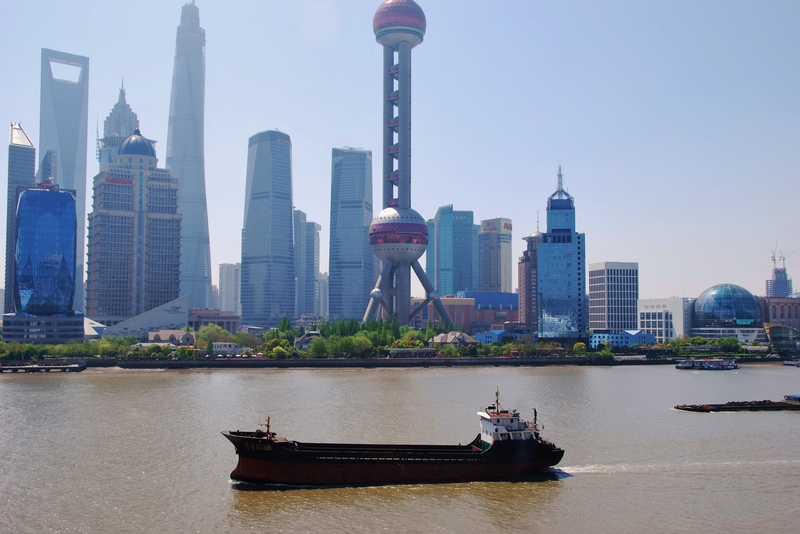 Looking down, we are mesmerized as the “old” navigated the waterways of the Huangpu River along with the “new” in an endless flotilla of sampans sailing side by side with giant tankers, tugs, and barges. We had opted for the all-day “Highlights of Shanghai” tour that began with an elevator ride to the 88th floor of the Jim Mao Building (the second tallest building in China.) Standing on the Observation Deck, we had a 360 degree view of the “largest city in the world”. Even more amazing from this vantage point was trying to comprehend what it must be like to live and work in a city of such mammoth size and scope. From there, we boarded our motorcoach to the Jade Buddha Temple. (The temple was built in the late 1800s to house two jade Buddha statues that had been brought by a monk from Burma to Shanghai. The two precious jade Buddhist statues are not only rare cultural relics but also porcelain artworks. Both the Sitting Buddha and the Recumbent Buddha are carved from whole white Burmese jade. The quiet, peaceful serenity of this temple – on the inside – was certainly in stark contrast to the frenetic pace of life taking place just outside its doors. Following lunch, we traveled to the Yu Yuan Garden. Covering about five acres, this scenic garden was built during the Ming Dynasty ( 1557) and has gone through multiple renovations, ownership, decline, restorations, and finally was taken over by the government and opened to the public in 1961. Highlighted with pavilions, corridors, unusual stone sculptures, statues, rockeries, quiet resting areas, lush landscaping and streams filled with colorful fish, this large garden is surrounded by restaurants, food courts, souvenir stores, silk shops, clothing, jewelry, and shoe stores, tea shoppes and even a Starbuck’s! We’re now headed back to the ship and venture through a very densely-populated residential area. “Densely-populated” is an understatement, too! Every single – without exception – apartment balcony had clothes lines strung from roof top to a pole and all lines were filled with clothes blowing in the breeze. Another common sight were outdoor sinks – used as big basins to wash clothes and dishes -plumbed and positioned next to a curb in front of a store/shop. Also, we were amazed at the quantity of “stuff” the locals could stack on a bicycle and still be able to balance and maneuver through heavy traffic. One other interesting bit of local trivia, we learned from our guide that buildings up to six floors generally do not have elevators; only buildings taller than six stories. We’re almost back “home” – with just one more stop: The Bund. What an incredible vista standing atop this promenade. While we were there, a bridal shoot took place and visitors were posing for pictures with the backdrop – not only of the bustling Huangpu River – but with a backdrop of an eclectic mix of buildings of such diverse architectural style as Gothic, Baroque, Romanesque, Classical and Renaissance. 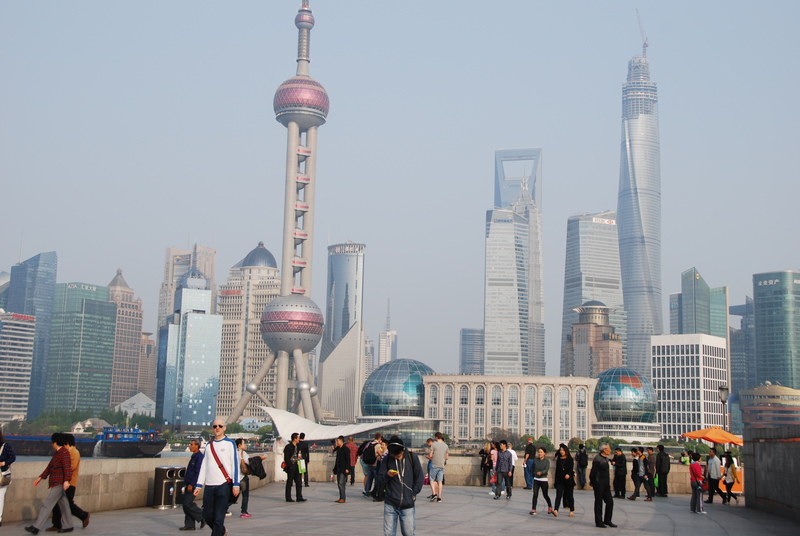 This proved to be a marvelous “snap shot” of Shanghai… that showcased not only the impressive architecture, bustling river traffic and the Pudong New Area ( Shanghai’s New Economic Zone), but literally a snapshot of the condensed version of just “all” this city has become. Once back on board, Cynthia and I stopped at our favorite bar on deck five for a late-afternoon cocktail, and toasted to another marvelous day of our Asian Adventure. We were also very happy to be back “home” on our ship. That evening, Rainer brought us a superb room service dinner. Our “entertainment” for the evening was watching all the party/dinner boats sail right by our “window to the world.” What a great day. We will be in Shanghai two more days/one night before we have a sea day crossing the Yellow Sea and then our final port of Dalian. We will then debark in Beijing on the 19th. A few additional comments and observations…First the weather. Could not have been better – mid 60s, sunny and breezy. Very light pollution. 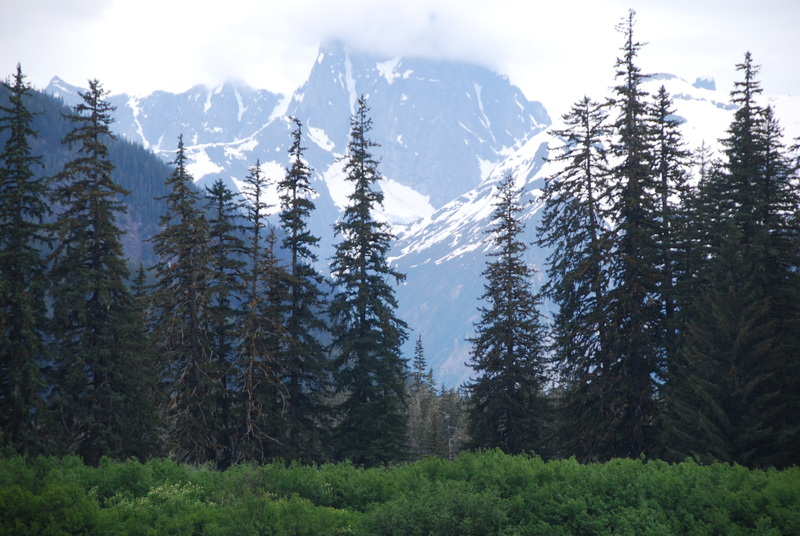 We were told in the summer – temps can exceed 100 degrees and the air is very humid. Again – just as it was in Hong Kong and Xiamen – the city was clean and very green. Even in the crowded neighborhoods, you didn’t see litter. Major commerce here: Textiles and automobiles. Skyscrapers continue to be built as fast as possible. It’s amazing to see hundreds of buildings that are at least 50 stories tall. What is even more amazing to us – how/where are they going to get the businesses and people to fill these buildings? 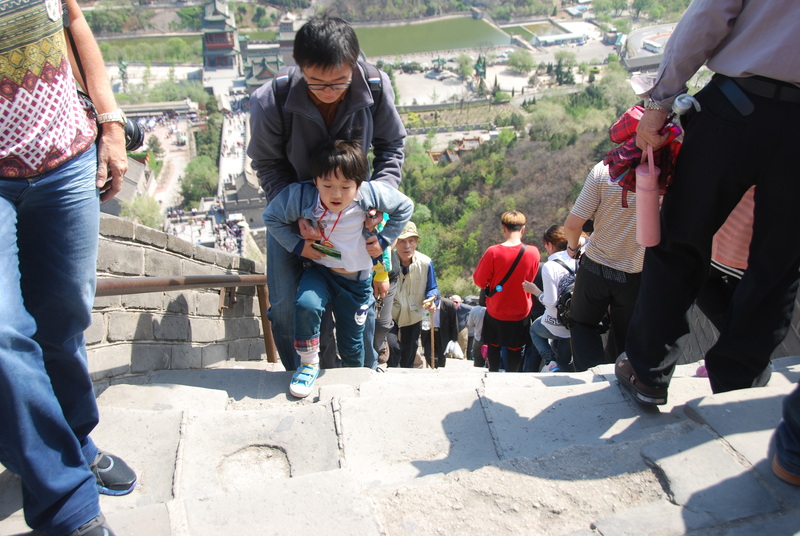 The “one-child” law is already becoming a factor as the Chinese labor force is not as plentiful, plus the younger people are better educated now and don’t want factory work. So some industry is having to move their assembly line work to the Philippines and/or Indonesia where labor is cheaper and more plentiful. Today is Palm Sunday, April 13th. Hard to believe Cynthia and I have been “home” on the Crystal Symphony now for three days. We sailed from Hong Kong’s Victoria Harbor late Thursday evening, April 10th and had a welcome sea day on the 11th, followed by a whirlwind visit to Xiamen yesterday. When we first boarded—after our 3+ days of travel and non-stop marathon sightseeing tour of Hong Kong—we were welcomed like family and that’s exactly how we felt: So happy to be “home”! Our embarkation was efficient, taking all of five minutes. In our beautiful stateroom on the Penthouse Deck (Deck 10), we unpacked, met our Austrian butler -Rainer, and our cabin stewardess Monika. After a quick tour of the ship, we enjoyed a very light dinner and were early to bed. The first morning onboard, I couldn’t wait to get up to the Lido Café and sit in my favorite “spot,” a window table for two, where my dear friend Dorothy and I sat for breakfast every day on our 13-day Trans Pacific cruise in December 2012. How nice that three of the dining room staff remembered us! Keeping with the routine from my previous cruise, it was up to the gym and a good work out. What a nice surprise that Brian, the fitness director and spin instructor, remembered me, too. Friday was a sea day and everyone seemed glad to leave behind the hustle and bustle of Hong Kong and just relax. And what a superb place to relax—every amenity is at your fingertips. The service is superb but unobtrusive. The staff prides themselves on making you feel as if you are the ONLY guest onboard. It’s hard to describe: atmosphere is casual but classy. The food, in all venues, is exceptionally good with great variety and selections. Housekeeping-– some of the very best you could ever expect to find anywhere. I think one of the best ways to describe the delightful ambience on this gorgeous, sunny, breezy day was to watch the guests relaxing on the Lido Deck, their favorite beverage at their side and book in hand, and visiting with new friends – and all the while… listening to a great sextet at the pool playing Santana-style music. Saturday we docked in Xiamen. Also known as the “Pearl on the Sea”, Xiamen – a gorgeous tropical seaport – is also the second largest city in China with a population of 3 ½ million. Other than Victoria, .BC., I don’t recall EVER seeing so many tree-lined esplanades, a kaleidoscope of color at every corner and a park every 500 meters. Unbelievably beautiful! My observation of sanity with traffic and pedestrians in Hong Kong was just the opposite here. The traffic on this Saturday morning was beyond indescribable. No sooner had we boarded our motor coach for a 4-hour tour, and we knew we were in for a wild ride. Our driver was fearless. Everyone jaywalked; pedestrians competed with giant buses for the right of way and bedlam ensued. 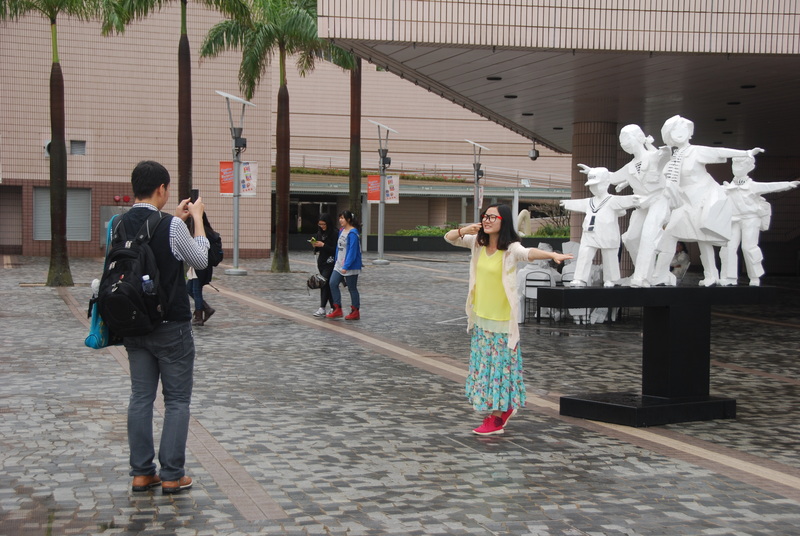 A delightful young lady, a graduate of Xiamen University, conducted our tour. We’d read in our daily bulletin that our guides would be university students with limited English. This young lady, whose English name was “Theona,” gave 110% to making our tour interesting. 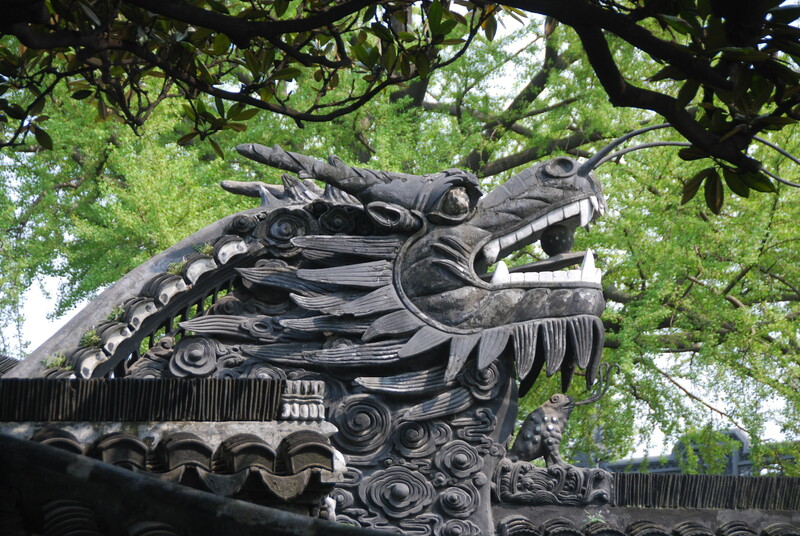 The problem was that with thousands and thousands and THOUSANDS of visitors at our first stop—The South Putuo Temple— we just had to observe, as it was impossible to hear her commentary. I don’t ever remember there being so many people in one place as at this temple. (It’s interesting to note that South Putuo, or Nanputuo, is a very famous Buddhist temple founded in the Tang Dynasty (618-907.) Of the many beautiful temples in Xiamen, this is by far the most famous. It is so named because it is south of the Buddhist holy site Mount Putuo in Zhejiang Province. Our tour concluded with a tea-tasting ceremony for our group of 34 held at a government-run teahouse. Once back on board, our busy day in Xiamen concluded with a concert that evening in the Galaxy Lounge by internationally acclaimed pianist, Tian Jiang. Outstanding. China can now produce more in two weeks than it used to produce in a year. 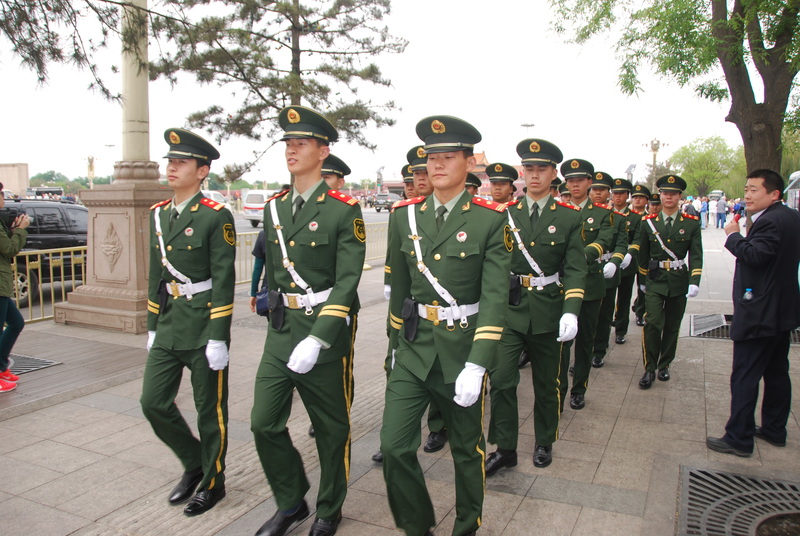 Currently 18 million Chinese belong to the Communist Party, with 20 million wanting to join each year. Pork is the preferred meat. There are over 600,000 different villages in the country, 55 recognized ethnic minorities within 110 million inhabitants, 300 local dialects spoken. And that’s just the beginning of what I learned in an hour. Tonight, we look forward to dinner at Prego (the popular Italian specialty dining venue) with our two new friends we met yesterday from Dallas. Tomorrow, we dock in Shanghai to enjoy three days/two nights of sightseeing and culture. HONG KONG…Our Asian Adventure Began Here! We arrived in Hong Kong as first-time visitors only to be greeted with torrential rains and dense fog. Welcome to Hong Kong! But the pouring rain didn’t dampen our enthusiasm for the adventure that lay ahead. My dear friend Cynthia and I had just completed 21+ hours of travel from Galveston, Texas to begin our Asian adventure aboard Crystal Cruises’ Crystal Symphony “Pearls of China,” itinerary that was to begin in Hong Kong, April 9th, with calls in Xiamen, Shanghai (two overnights), Dalian and then concluding with a three-day land package in Beijing on April 21st. We were met by our private guide (who we had arranged through the Hong Kong Tourism Board) and taken to our hotel –The InterContinental. Highly recommended as the property is located directly on Victoria Harbor and the unobstructed view from our room: Simply Spectacular! First order of business upon arrival at the hotel was lunch and to review our priorities for sightseeing in this intriguing and enticing city. Since the hotel’s specialty restaurant, Yan Toh Heen, featured dim sum, we quickly chose this venue and learned it was a recipient of a “1-Michelin Star.” Our guide ordered for us and the quality and presentation was outstanding. As we concluded our fine lunch, we told our guide we wanted to walk since the rain was subsiding, as we were ready to see, do and experience everything possible in the short time we had to enjoy this exciting, world-class city. We headed to the Star Ferry for the 10-minute ride between Kowloon (where our hotel was) and Hong Kong. A good friend who handles tours in Hong Kong had set our priorities for us: First and foremost, take the tram to the top of Victoria Peak. 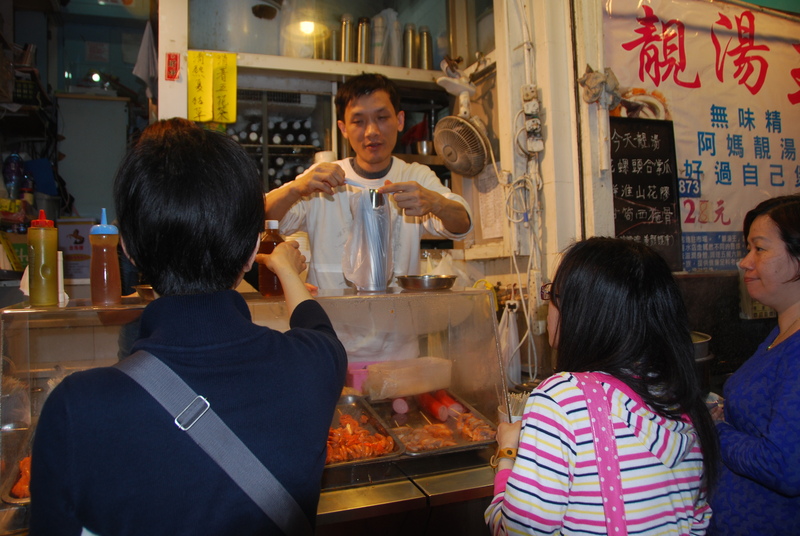 Next, see the Financial District, Hollywood Road, Man Mo Temple and browse the fine shopping district; enjoy dim sum (check!) and experience the Stanley Street Market. With all the trees, dramatic and colorful flowers, and gorgeous landscaping, Hong Kong’s “green space” was amazing. What was also amazing were the hundreds and hundreds of tourists out and about on this rainy Tuesday afternoon. What we learned was that the previous Saturday (April 5th) was a national holiday: Tomb Sweeping Day. In Chinese it’s Ching Ming – which literally means “Clear and Bright” and is a tradition where families travel to their family tomb to sweep, clean and place flowers or other memorials on the gravesite. Because the national holiday fell on a Saturday, the banks/financial institutions were closed on Monday and apparently many people added an extra day to their holiday weekend. We walked through the Financial District and the IFC (International Financial Center), and passed such fine stores as Prada, Salvatore Ferragamo, Piaget, Rolex, etc. As we headed towards the Peak tram station, we passed St Andrew’s, an elegant Anglican Church (Episcopalian) and the historic St. John’s Cathedral completed in 1849. Then we boarded the tram for the ride to the top of the Peak. The trams, which have been operating for over 125 years, hold 120 people each and run about every 8 minutes. 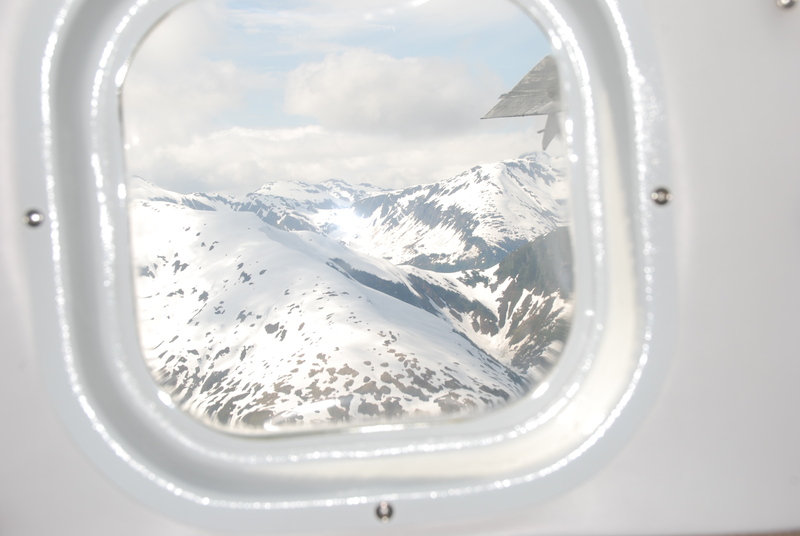 Following the brief—albeit very steep—ride to the top, we arrived at an incredible sight. 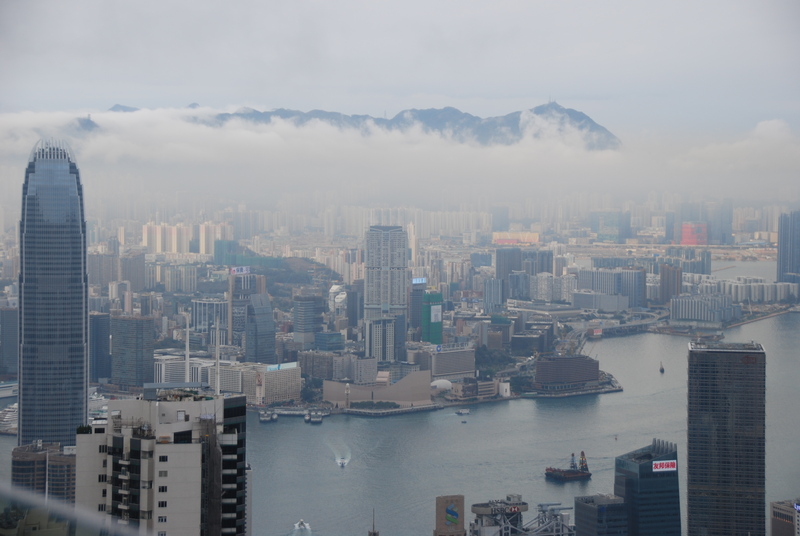 Our friend was right: Standing on the top of Victoria Peak and looking down over the entire city…WOW! While we were walking around, a volunteer greeted us with a complimentary headset device that provided a detailed overview of the area. We had wanted to do the 90-minute walk around the perimeter of the peak, but it started raining again so we departed. After we took the tram back down, the rain had stopped again and we walked to Man Mo Temple. Built in 1847, the temple is one of the oldest traditional-styled temples in Hong Kong and is dedicated to the gods of literature (Man) and the god of war (Mo). From there, we stayed on Hollywood Road to view some of the city’s most beautiful antique shops and fine jewelry stores. To ensure we got a bit more immersed in the local culture, our guide suggested we take the subway to the Temple Street Market area. Living in Texas we’d never experienced anything like this before. Crowds on the New York City subways couldn’t hold a candle to the throngs and throngs and throngs of people traveling in all directions in Hong Kong’s subways. Everyone had an electronic device in their hands. And how these commuters could maneuver from one escalator and subway car to another—while seemingly never taking their eyes off their cell phone—was simply incredible. From there, we worked our way along the busy streets of food vendors, pastry and coffee shops, neighborhood grocery stores, drug stores, camera shops, and other small, neighborhood businesses. Food vendors sold fresh crabs, fish, lobster, and “internal organs” of other creatures cooked to order, and served on a skewer with hot and spicy sauces. As we observed the frenzied pace at which everyone was moving, our guide told us that since most locals work from 9am till about 7pm, we were right in the middle of the prime rush hour pedestrian traffic. We kept moving along the bustling streets, heading towards Temple Street Market. 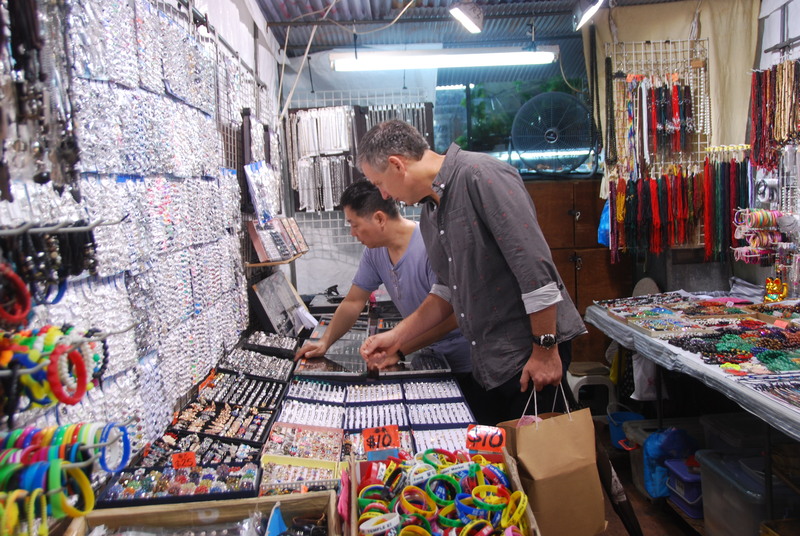 Once there, we were amazed at the stalls—everything from cheap watches, imitation leather goods, jewelry, silk scarves, t-shirts, shoes, camera and electronic equipment, toys and souvenirs. Our guide told us that the market is only open nights from about 6pm-midnight. Each of these hundreds of vendors packs up their wares at night, only to set-up again the next evening. What a hard way to earn a living. We didn’t buy anything, but were glad we saw the market. From there, we took a taxi back to the hotel, bid our guide farewell, and at 8pm on our first night in Hong Kong… we were DONE! The next morning we awoke early to gorgeous sunshine and an indescribably beautiful skyline. As we ate breakfast, we watched the buildings come to life as neon signs lit the skyline starting around 7am. 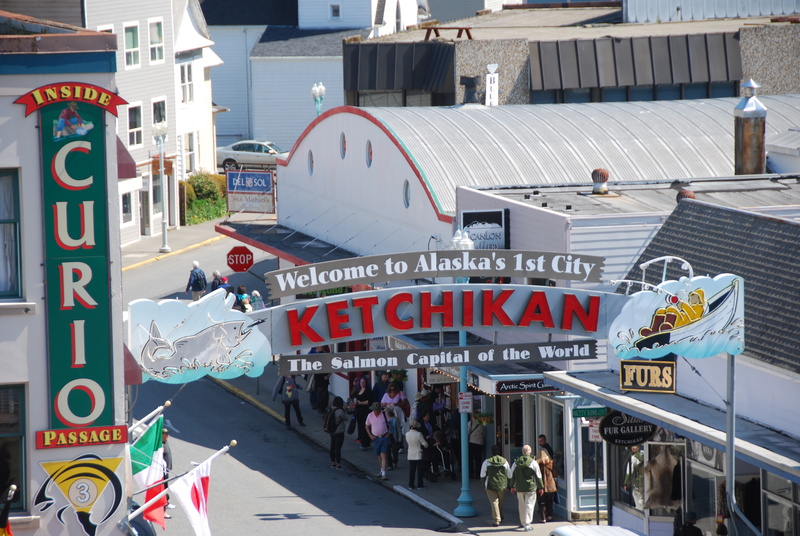 We were to board Crystal Symphony early that afternoon, so we had time to do a little shopping and sightseeing on our own. We set off on a leisurely walk through the streets near our hotel to shop and later enjoyed lunch at the world-renowned hotel, The Peninsula. We didn’t realize at first just how close we were to the Ocean Cruise Terminal as it was only a short walk from our hotel. We also learned that Hong Kong had recently completed a new terminal, but that it was miles from the city centre. Ocean Terminal, where Crystal Symphony was docked, showcased multi levels of retail shops offering everything from Gucci to Nike and all literally just footsteps from where we were to board our ship. What a great way to start a cruise. I also recalled that Crystal Symphony will return to Hong Kong during the holidays this year for a 15-day “China Sea Holiday Spectacular” (December 21- January 5, 2015), and will be docked at Ocean Terminal during the New Year’s Eve celebration. Can you imagine what an experience that would be to see one of the world’s most spectacular fireworks displays light the skies over Victoria Harbor—and all to be enjoyed from the prime vantage point of a balcony or deck aboard your ship! 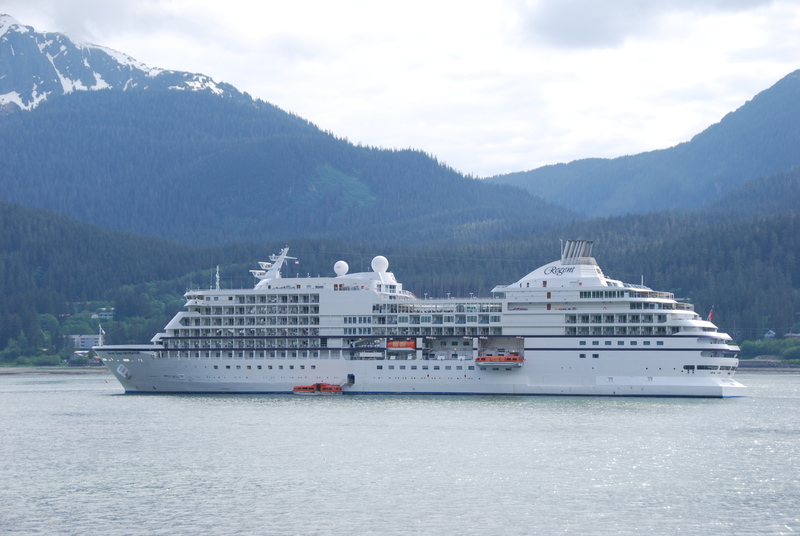 Well, we’ll be boarding soon and our Asian adventure aboard the Crystal Symphony…it’s just about to begin!